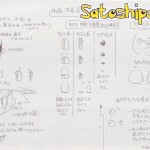 Dear Mr. Yuyama, this letter is from all the staff of Satoshipedia. We all are really fond of the Pokemon Anime, some of us even since the first episode has been aired. Probably you won’t consider what we veterans think, but for once maybe it is best to listen to us, since the audience wievs of the Pokemon anime are dangerously dropping. We sincerely think that is quite selfish to aim the anime to “your 10 years old self”. 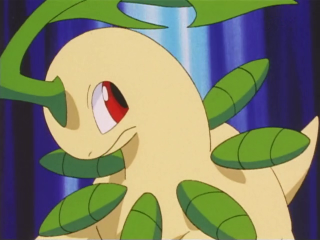 You know better than us that Pokemon is a Shonen Anime and not a Kodomo, so the audience wants to see Satoshi grow up, and not to take steps back. This is why in all of this years, the audience continued to drop. We, since we are writers, deeply think that creating a character means to give him life: it is a great responsibility, because somehow you made something born, and that thing can become the reference point for someone. This works also for us: you don’t have any idea how many difficult moments Satoshi has helped us to face, and you know why? Because characters have psychology, a life story, a soul…they are alive, even if we cannot talk to them physically or touch them, we have to respect their life just like anyone else! So it is necessary to let you know a bit of a particular history, the history of someone we know, bullied for years for her tardive growth. Satoshi was her only anchor of salvation: he cured her pains, he comforted her and he helped her to become braver. He saved her life and nowadays that person still considers Satoshi as her hero. So watching him grow up alongside her, it reassured her to live a better life. 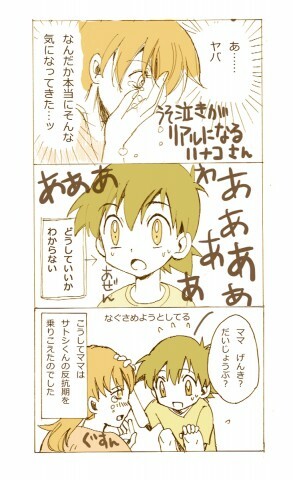 Yes, you understood right: an eternal kid Satoshi would NOT have been able to give her the same strenght. Those are exactly the world she spoke. And now, thanks to your reboots, she has stopped watching the anime: she who loved you before anything else and considered you like her some kind of angels. If you want, we can let you contact this person, but most probably it won’t bother you. Returning to us, you don’t have any idea how much we suffer watching Satoshi being “bullied” by the majority of the web. 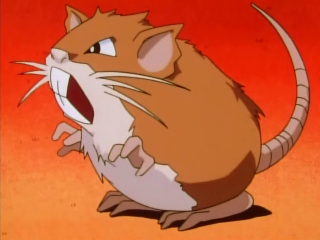 We read articles about him, on famous animation websites, and Satoshi was listed as “The biggest loser in anime history” or even worse “The main character who never grows up”. We always tried our best to defend him, by using Satoshipedia. Sometimes we are harsh, but it is the love and affection for Satoshi that encourages us to do so. 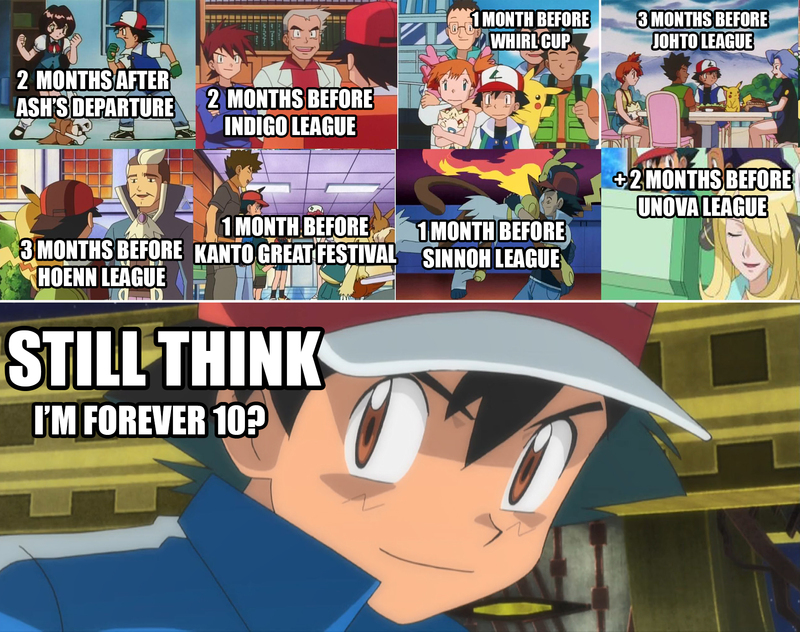 We know every single episode by heart, and even if you keep regressing Satoshi back, we know that in the anime THERE IS a timeline. WE SAW Satoshi growing up and becoming more and more mature: nobody could ever convince us of the contrary, not even you. So we ask to you to let him live his future, in order to let him be loved just like the other characters. Please, promise us that you’ll at least reflect on what we wrote. 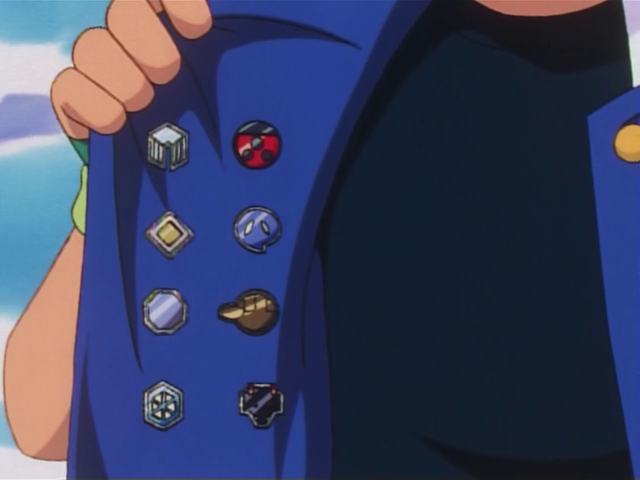 We just wanto to see Satoshi growing up and, also just like anyone else, we wish him to really become a Pokemon Master. We think he deserves it and you have to do it, after all he has done for you in those years. Please take act of the responsability you have on him, do not underestimate it, please! Thank you for your time. To fall in love with a character is POSSIBLE and it’s a REAL feeling! Do you fell in love with an anime or manga character but your family and your friends doesn’t understand your feelings and/or try to clinicize you? This article is just what you needed! We staff of Satoshipedia, realized it with the help and consulence of a well known psychologist (only to tranquilize the ones who believe that there is illness in it). First thing first we explained the doctor all the work that is behind the realization of an anime character (this also can be applied to a book character or another product developed by the same criteria): the main characteristic is the realism implied in it: so a psychology and a realistic story, full of details and rich of particularities. These characters, do NOT represent the stereotype of the “omnipotent” hero who lives in a utopistic perfect world: in the most cases they live a social and family life common in our reality, sometimes even problematic (lack of a parent, deaths, conflictual relationship,divorce,bully problems and so on). So the characters have to make a journey on how to develop and grow, that will help them find the accomplishment of their goals. We viewers, just follow them in their journey and maybe also learn on how to deal with our problems following their personal experiences. It is not a coincidence that in Japan there are even monuments of anime/manga characters, the One Piece Manga is even studied by japanese psychologist, because it is implied that helps people who feel lost and alone. Those are things that are considered absurd for the ones who don’t know japanese culture,because the occidental view off animation and comics is often associated with childhood or immaturity. But in Japan anime and manga are part of the culture of the country and exist for all the ranges of age and target. 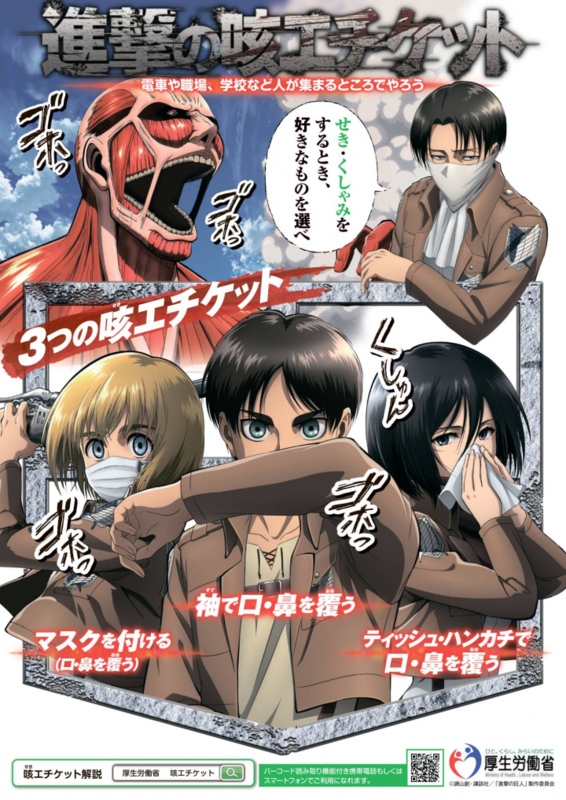 Attack on Titan poster pubblished (in Japan) by the Minister of Health,Work and welfare in which the characters of this anime explain: “Choose what you prefer (to cover yourself) when you sneeze or cough”. And in the upper left angle of a poster there’s a titan coughing without covering his mouth. Our experience is with Ash, so we presented him to the doctor in a very detailled way. He also as a very detailed psychology and a not very simple family situation. We are talking about a boy who was abandoned by his father, when he was just born, raised by a single mum, who was only nineteen when she gave birth and who just lost her mother (Ash’s granny). We also learnt how this has influenced Ash’s psychology who sometimes, had to help his mother who was literally in tears. His strong personality is derivated by the absence of his father, and by the personality (still very positive) of his own mother. 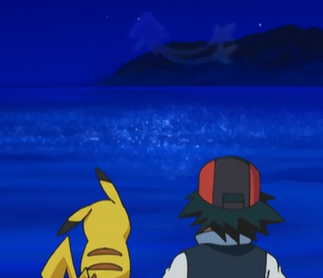 English translation: Ash’s Funfacts – The night before he started his journey, Ash promised his mother Delia that he would never be like his father. 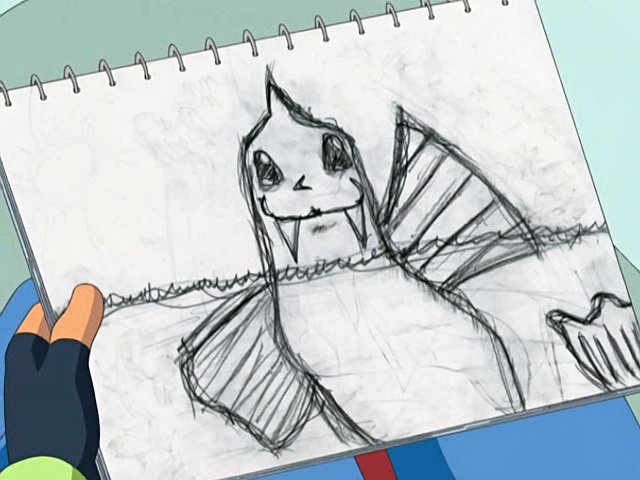 It is for this that he regularly came back after the end of every journey and when he was away he was worried that Professor Oak and Tracey Sketchit would not visit often her mother. These details help creating a very realistic story: small details that can be not useful in the creation of a plot, but in reality bring an everyday sense of life and the perception of knowing these characters like they are friends which we spend time in our everyday real life. 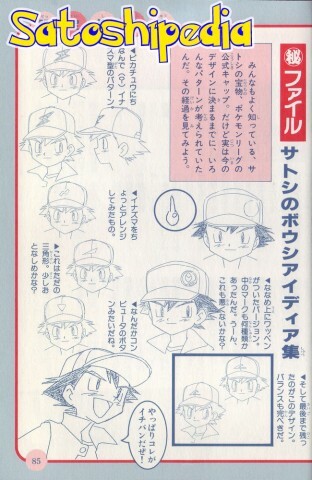 English translation: Ash’s funfacts – Delia Ketchum often asked her son Ash to help her gardening. 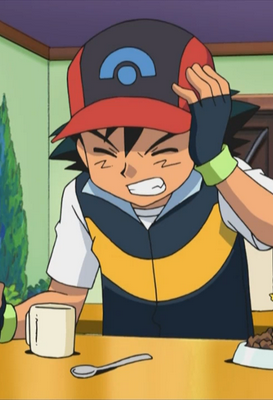 But Delia made Ash work so much that he could not even study. 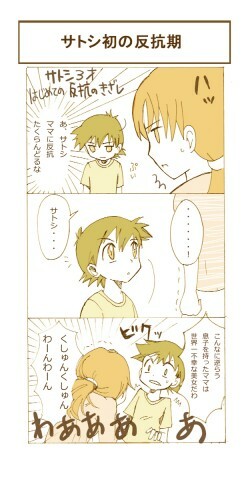 English translation: Ash’s Funfacts – When he was a child Ash loved playing around and making messes. He started to get a bit naughty when he was around three. Delia often scolded him when he caused too many problems, but he never forced him to focalize his energies on his studies. 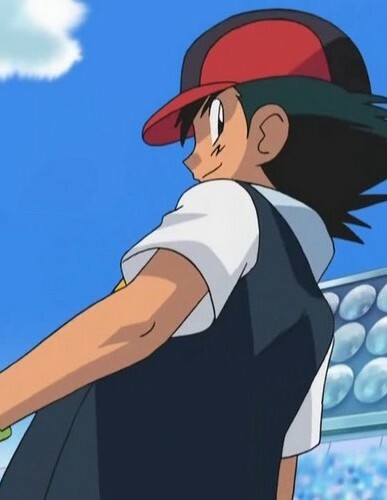 Speaking of Ash, he does not represent the perfect hero: even if he’s brave and has an extremely positive way of thinking, we learnt that he also feel vulnerability, errors, fears and problems of his character. 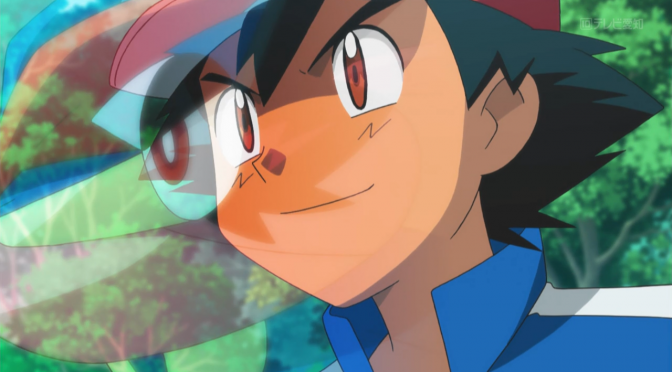 Ash, teaches us on how to face problems in the most realistic way. 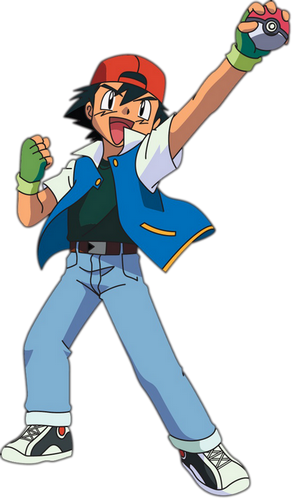 After learning the complexity of the character, the doctor asked us “Is Ash sexualized? Does he has a sexual orientment?”. The answer of these questions was obviously yes. Ash is a male human guy, so the difference between him and an “object” is that he has a sexuality and characterics that are always present in his gender. So there’s nothing wrong in falling in love with him, and to feel all the “physical emotion” of sexual attraction (not getting deeper in it for obvious reasons”). In scientific terms it is called “unilateral love” because it cannot be felt in both parts. There are mostly not very differences with falling in love with a real person, because in this case there is the possibility of being rejected. In both situations we feel loving someone who have known for long, but we couldn’t have a physical relation with it. So considering the realistic and detailled psychology of the characters, united with the sexualization, in the end falling in love with a fictional character it is not an illness: it is an absolutely real feeling. But do we can consider them as our “first love” or an effective “fianceè” of our life? Starting with the fact that nobody cannot trashtalk about our feelings because they are real, we also have a scientific answer to this doubt. Obviously, between character and real person there’s an evident and uncanny difference: with the character we cannot have a dialogue or a “real” relationship, so we feel the thing to “search for his presence” and everyone has his ways. 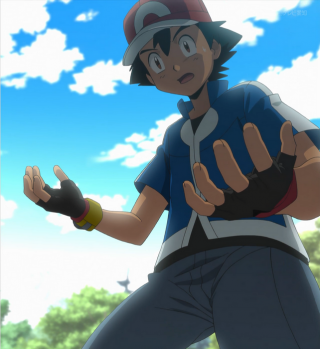 With Ash’s case (and characters like him) the most common way it is to take example from him, applying his teachings on real life. A Girl who suffered from violent panic attacks, was anxious to the idea to face his first work call. The panic attacks left her with a difficult situation, but she found strength in dealing with it thinking about how Ash would have done it: “What woul Ash say to me if he was here? He will obviously tell me to not give up even after a fail”. So the girl remembered a promise “she made to Ash”: to fully work on his dream. Getting strength from this promise and with the conviction that Ash would be proud of her, the girl picked up the phone and everything went fine. After listening to this story the doctor explained “See?This is a case on which Ash helped with a active support: he practically was there, motivating this girl. There are no doubts that he could be considered her first love”. Even if these words are fruit of a writer work there are still Ash’s words: because a writer has to think with the brains of the character on he is working, not with his own. He has to follow strictly Ash’s psychology, that can be different from his own. Obviosly some situation can bring the character to a psychological change, like it would happen in reality. There’s a term on how to indicate an anime/manga character on who you are desperately fallen in love with: waifu for girls character and husbando for male characters. 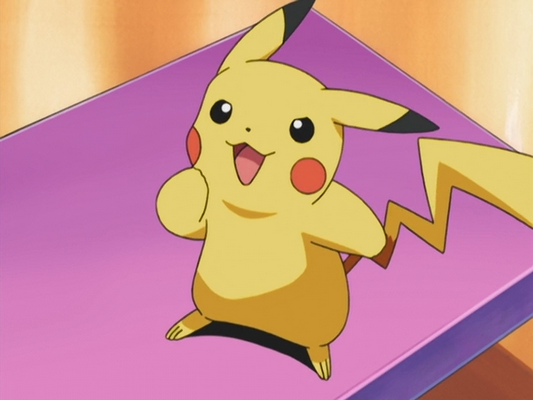 Sign the petition to say stop to Ash’s anime Reboots! You only need a few seconds and you can choose to be anonymous, hiding your personal data! 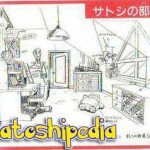 Our Site, Satoshipedia, is an online encyclopedia fully dedicated to Ash Ketchum, created in order to defend him from all the distorted spread information about him. Those cause a misguided and approximate consideration of this well known character. 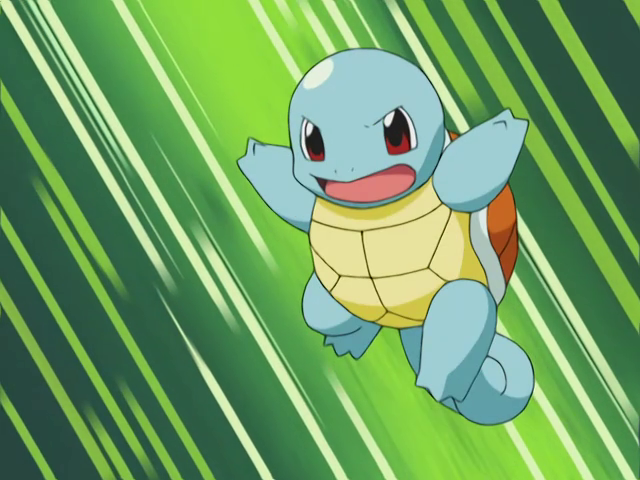 As simplified by this picture in the upper line we saw the one who we call “the real Ash Ketchum”, the one who has his CANON appearence, who demonstrated maturation and growning of this character. His age,indeed, goes from 10/11 to 16/17 years old. 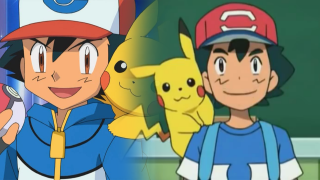 In the Lower line, however we see “parallel” and intentionally regressed versions of Ash.This is caused by commercial strategies from Pokemon Company, that are obviously causing a downgrade of sharings of the animated series. Other Details can be found here in those link. Sign the petition in order to say stop to the reboots of Ash in the pokemon Anime! You only need few seconds and you can choose to be anonymous, hiding your personal data! We’re sorry for the eventual grammatical errors and lexical mistakes we could do. We are Italian so we’ll try our best! usual ending sentence “next time a new beginning”. This is because the main series, at the moment, it’s really over. 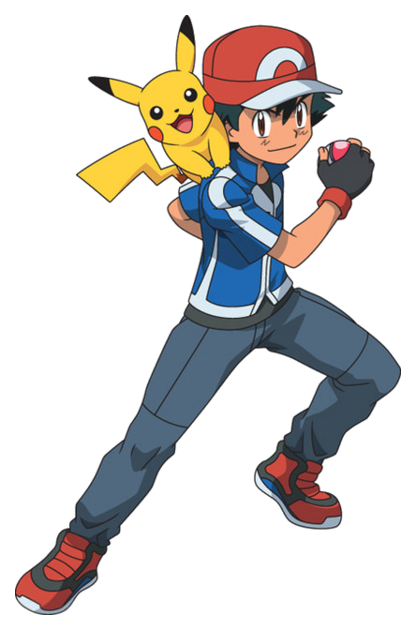 Sun&Moon is only a NEW Pokémon anime, with a reboot of the protagonist who is strongly reminiscent of Ash. This is due to merchandising reasons. As you can see, the series registered a gradual audience ratings decline. XY and XYZ series were much appreciated from Western audiences despite the fact that they registered the lowest rate in Japan. 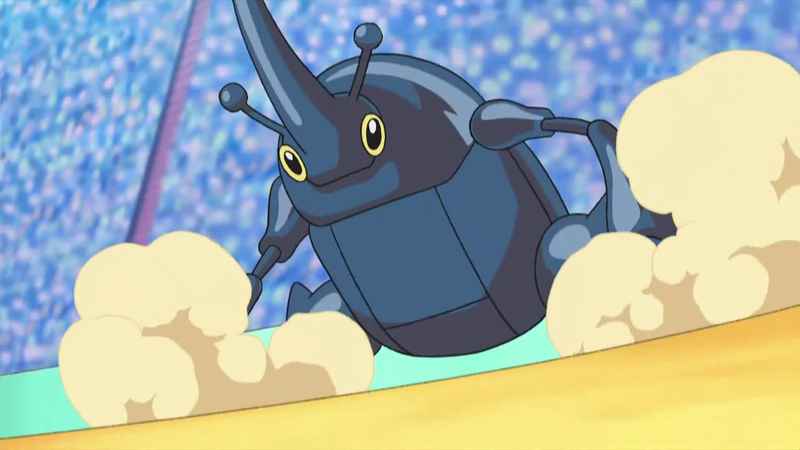 This led to a drastic reduction of staff’s funds, ever since the promotion of the film “Volcanion the Mechanical Marvel“. 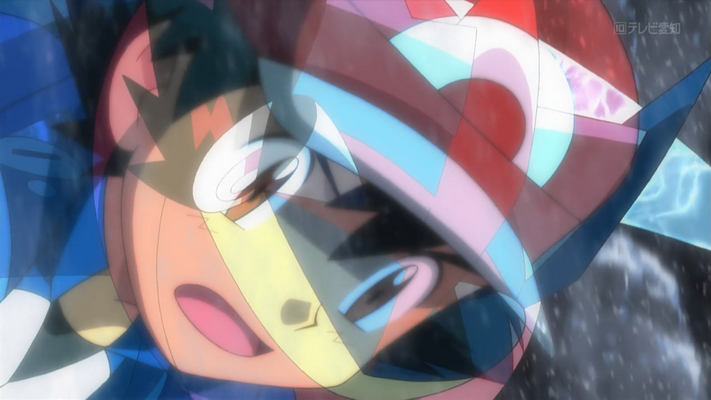 Because of these cuts, with the Sun&Moon anime series the frame rate of the episodes has been lowered. 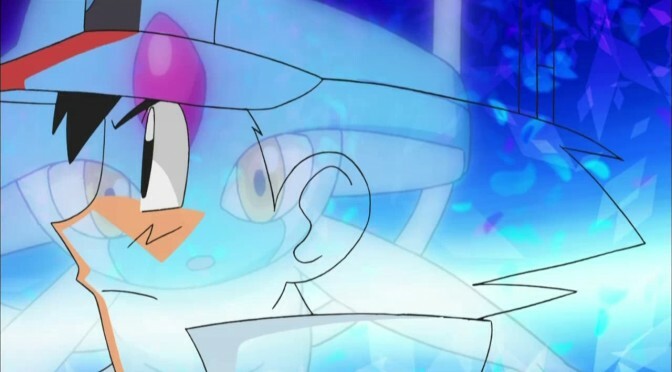 As you can understand by yourself, the Pokémon anime is in a bad situation which is caused by the same staff of the animated series, who completely ignored Shudo’s directives. 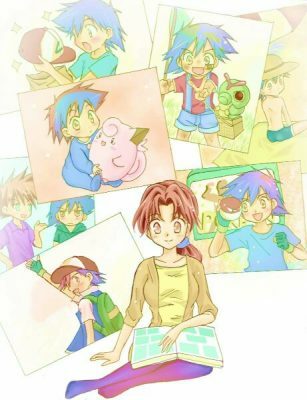 As time goes by, the audience became gradually sick of seeing Ash that loses everytime and re-starts with a new journey, as if nothing had happened, instead of realizing his dream. At this point, in order to send things forward, it has been decided to focus entirely on the merchandising aspect. 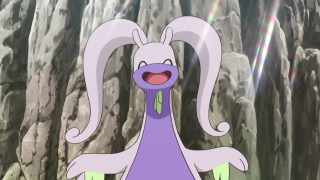 And here I am going to explain the reason why Black&White and Sun&Moon have to be considered a world apart, that is to say, series not linked with the main ones. 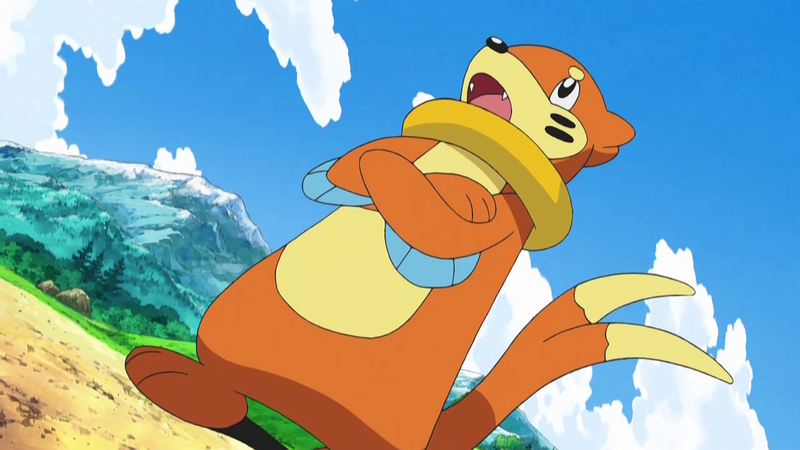 The plot of the Pokémon TV series does not always follow a logical thread. Moreover, for primarily economic necessity, writers are inclined to create series comparable to spin-offa. This often happens without explaining it directly in the episodes of the series (which keeps going on without any explanation of these story changes). 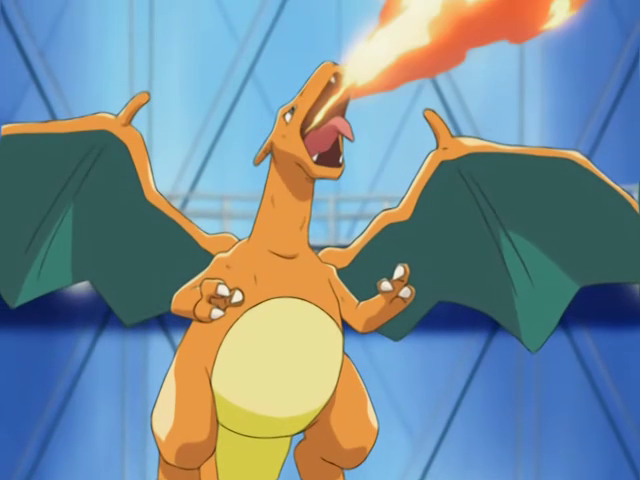 Concerning the Pokémon anime, a real continuity is ensured by the following main series: Kanto – Orange – Johto – Hoenn – Kanto BF – Sinnoh – Kalos. By following the episodes of these series, you may notice that there is a plot progression in the aforementioned regions, thus also proving that there is a connection and a progression, indeed, among them. 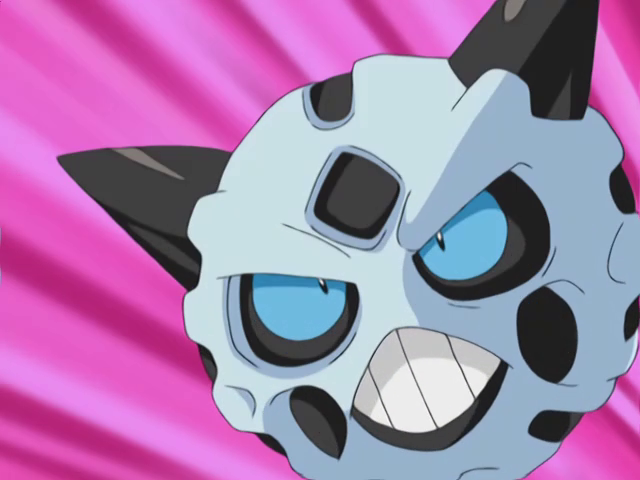 Black&White and the Sun&Moon are reboot and parallel series that feature a regressed version of Ash, also differentiated from the original with a change of Character Design (in order to attract young audiences). As well said by Masafumi Mima, that’s not the same Ash of original series and he shouldn’t be confused with him. 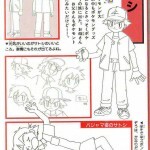 The official manga of the 20th pokemon movie shows “SM Ash” remembering his past, and he is shown with the outfit of this movie. 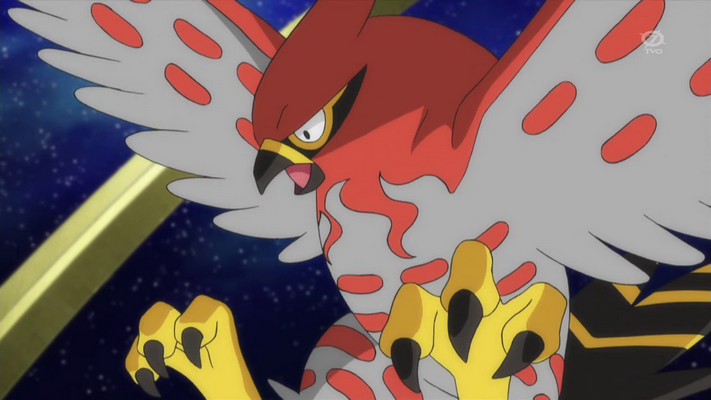 As we know the 20th movie is settled into a parallel dimension, connected to Sun&Moon. 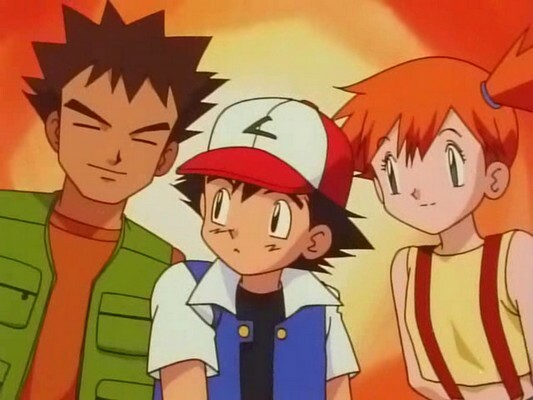 As for Black&White saga, at those times the reboot strategy was tried, but with the audience drop of viewings they tried to adjust the series with the cameos of Dawn and Charizard (adding Brock& Misty in flashbacks). This has caused a lot of confusion about where Black&White is linked with the series. 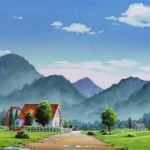 However the endings of DP Saga and XYZ Saga have some scene that are marks of showing a crossroad of the story: the last shoots of Ash where Ash goes far from the camera. In the Sun & Moon Series Misty and Brock have been shown with the original clothes they had, rather than their most recent ones, mainly because there’s no continuity between the series anymore (this is also valid for the pajama that “Ash” wears in the last episode of the Black & White series). 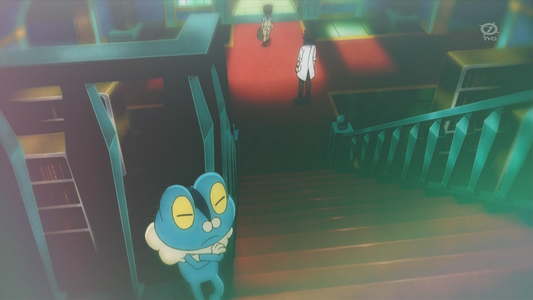 At the end of the XYZ series we could see some small forms of protest by the same animation directors or writers. 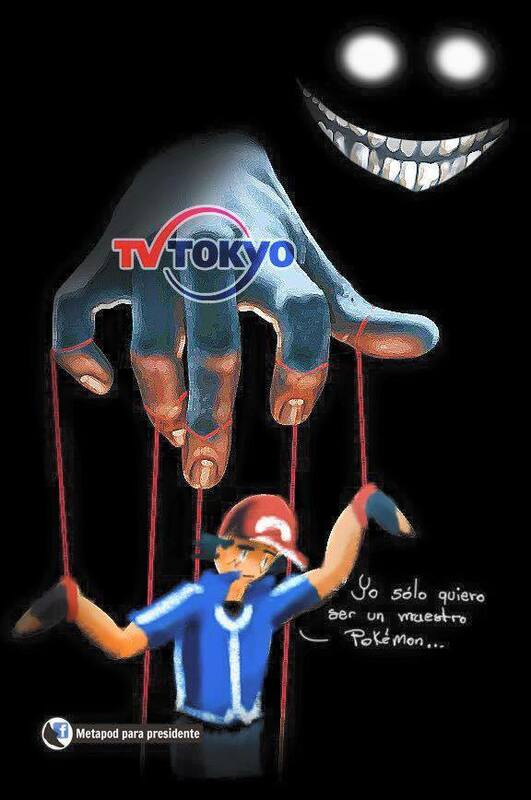 This tells us that even they haven’t an effective control of the anime; in fact the staff changes with each generation and given that Pokémon is a commercial anime, control goes mainly to sponsors such as TV Tokyo. Obviously, they do not care about Ash and the storyline: their only interest is to cash with ratings and merchandising. 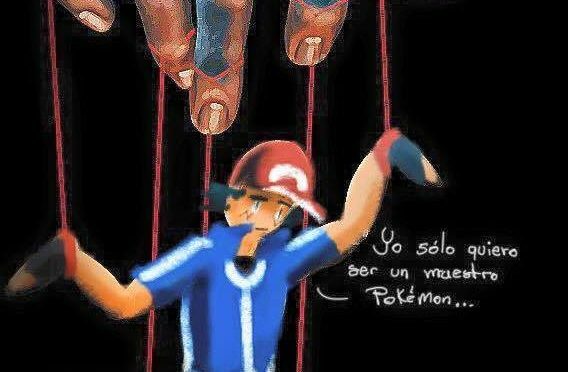 We of Satoshipedia join to the protests, because we care about Ash and the development of his history. We decided to stop following the anime, because to continue would mean to accept the treatment that is reserved to Ash for purely commercial purposes, which it was against the same Takeshi Shudo (creator the anime). 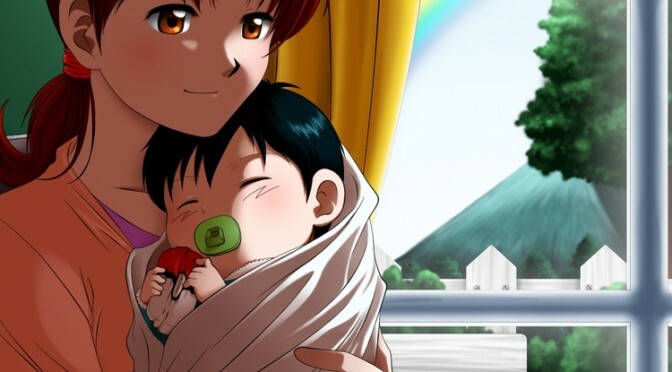 As explained in our separate article, Takeshi Shudo wanted to create an anime targeted to both children and adults, and he care relative of the gain. This led him to disagree with the other writers, that have gradually removed to Shudo the control of his own anime. I don’t need to explain how all that has happening is not right and is not respectful of Shudo and the same Ash. It’s up to you to decide whether to continue with the anime, but you must be aware of the consequences. No one denies that the episodes of Sun & Moon can be sympathetic or show the pseudo–Ash in epic situations, However, the fact remains that this does not really respects Ash’s character, which continues to be seen by the public as a ridiculous and eternally childlike cartoon character (things that do not really represent him). 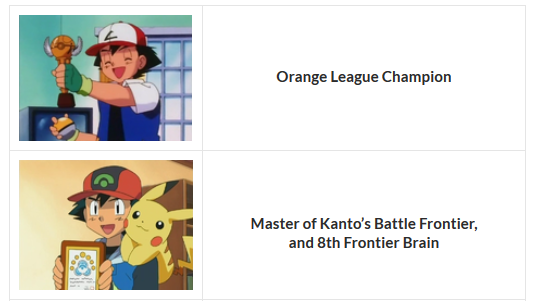 Everybody knows Ash Ketchum as a skillful Pokémon trainer, but there is more to his character. In this movie we find out that Ash is the chosen one of an ancient prophecy of the Shamouti Island. It recites, amongst the many verses: “A Great controller shall calm the God’s anger“. 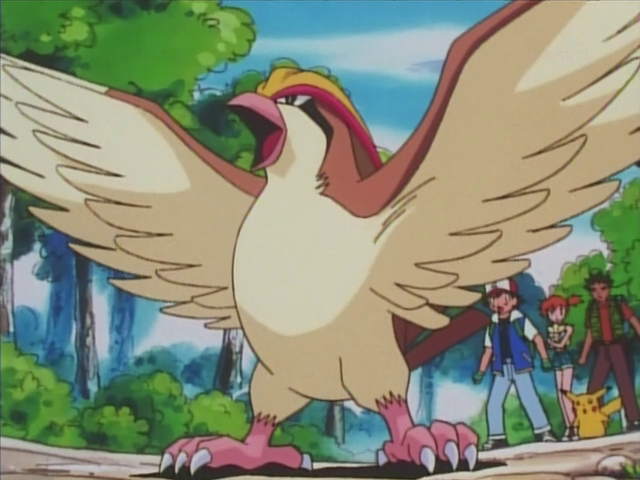 Intially, when all the inhabitants were celebrating, unaware of the imminent tragedy, Ash is elected as ‘chosen’ simply because of his abilities as a trainer (he can “control” his Pokémons, as old Tobias said). 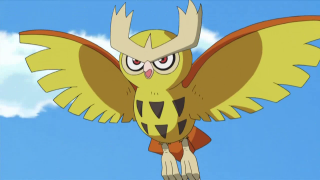 During the festival Ash was asked to demonstrate that he was the chosen one by a ritual, that consisted in collecting three treasures located in some small temples consecreted to the three Legendary Birds: in the Fire Islands, Ice Islands and Lightning Islands. 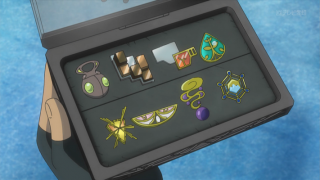 Ash found two of the three treasures by accident and managed to take those away. This showed that he really was the chosen one, the only one to find the last treasure and save the world. 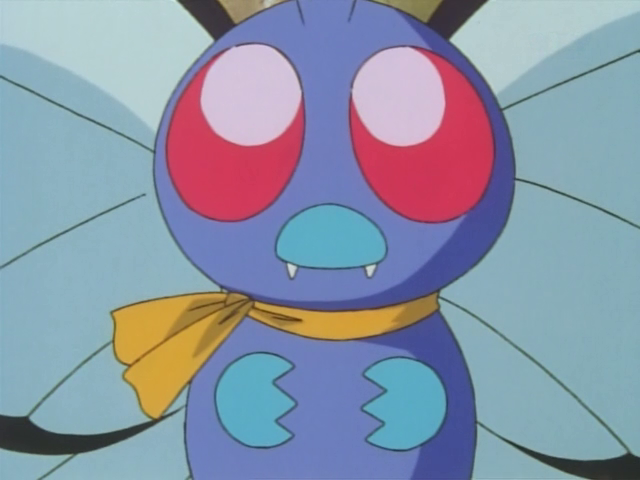 In our version the prophecy refers to him because of the name “Ash”. In the english version the prophecy actually says “Thus the Earth shall turn to Ash”. 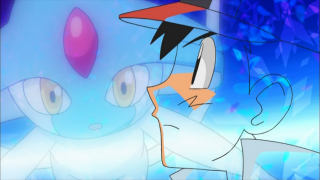 In the eighth movie “Lucario and the Mystery of Mew” we find out that Ash has a particular gift: he has the same Aura as Lucario. 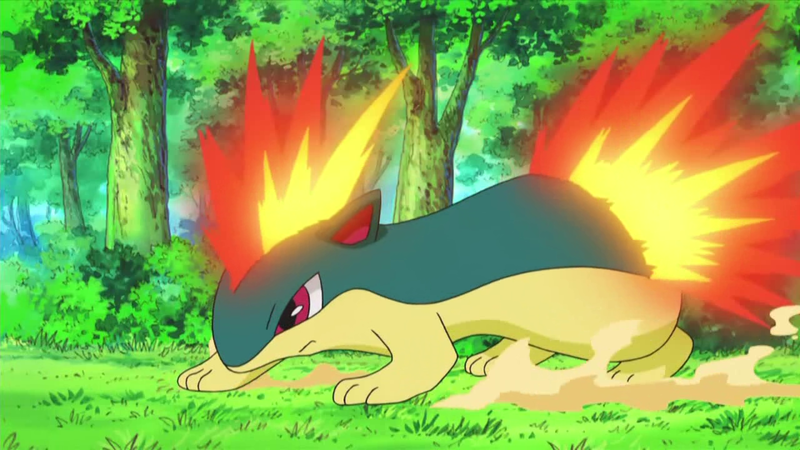 There are some special people in the Pokémon world that have a well developed Aura, like Lucario’s. In a distant time, these people were called “Aura Guardians“. Aura is an energy emitted by every living thing; in japanese is also called “Ki“. Aura Guardians can sense it, and with the right training, control it. 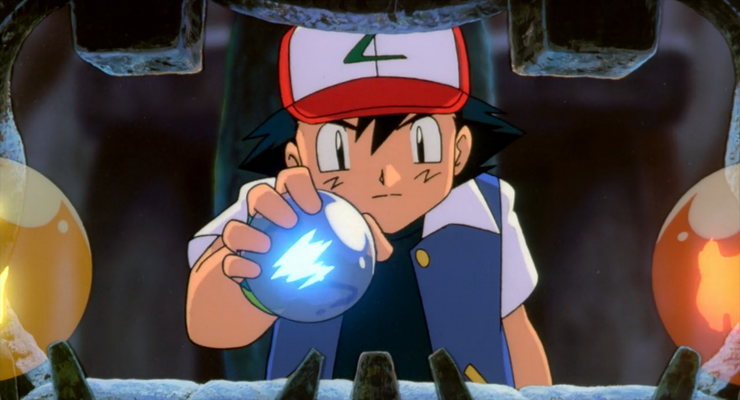 As far as Ash is concerned, many episodes show he has this ability. For example in the episodes “Poké mon Ranger and the Kidnapped Riolu” Ash could locate and comunicate with Riolu (Lucario’s pre-evolution), anywhere it was thanks to the aura. 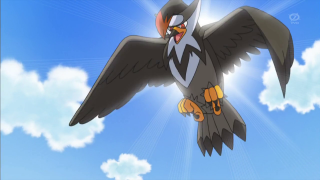 His ability has proven useful to Ranger Kellyn in order to rescue the Pokémon. 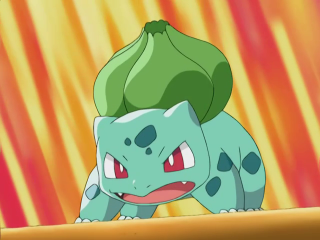 In the episode “The Keystone Pops!” Ash saves a village from the fury of a Spiritomb. 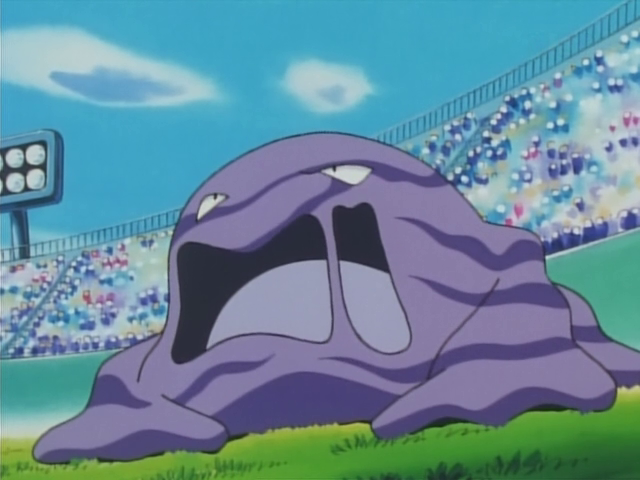 A locald elderly woman states that Ash is a Aura Guardian, like the hero that saved the village centuries ago from the same Spiritomb. 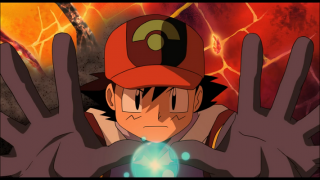 Ash then answers that he only wants to become a Pokémon Master and he’s not interestes in training his aura. In the movie “Pokémon Ranger and the Temple of the Sea” Ash is elected King of the Sea because he saved the temple by putting the Sea Crown in its place. 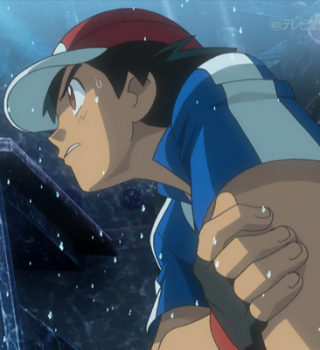 The legend (in the original version of the movie) says: “Thee who holds the Sea Crown shall become the true King of the Sea ” so, because Ash has protected the crown he has also become its owner. 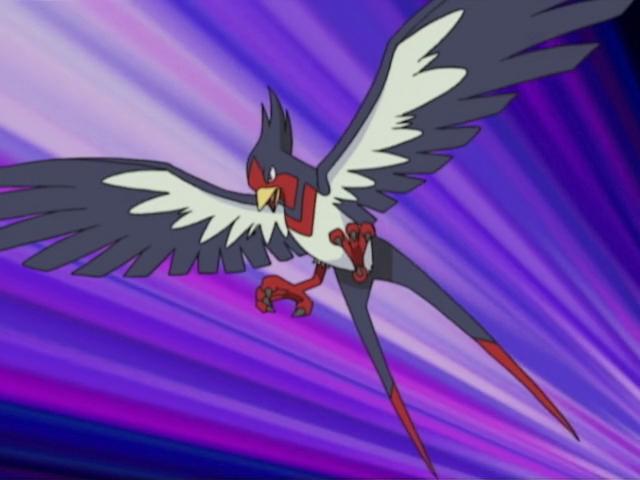 He has also used it in order to save his friends from the threat represented by Phantom. 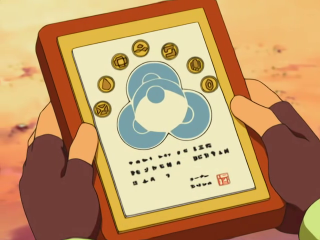 In Diamond & Parl series it turns out that Ash, Dawn and Brock are connected to three pokémon: Azelf, Mesprit and Uxie. They are respectively defined as “The Being of Willpower“, “The Being of Emotion” and “The Being of Knowledge“. Moreover, these beings perfectly reflecting the personality of the three trainers aforementioned. 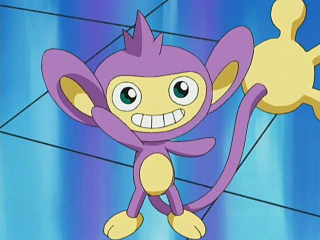 Azelf chose to connect to Ash because he has always used his strong willpower to protect Pokémon. There is a strong bond between the two. 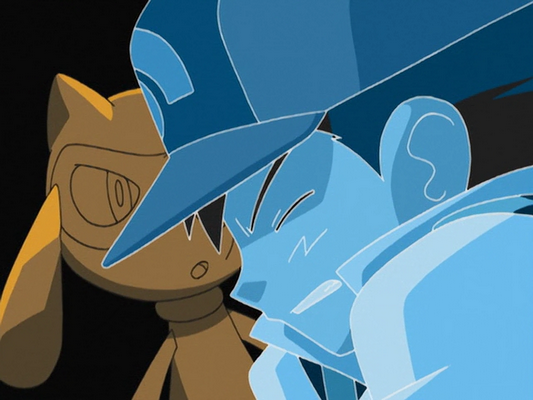 As a matter of fact, Ash is able to feel the pain of Azelf. 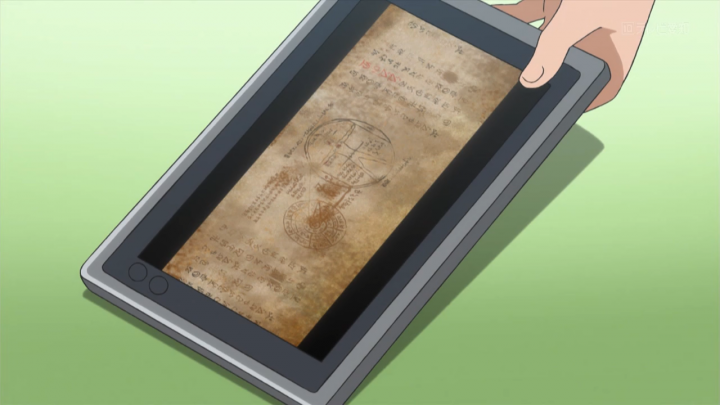 The latter, instead, can contact Ash in his dreams and can even “summon” him, teleporting him everytime it needed him. 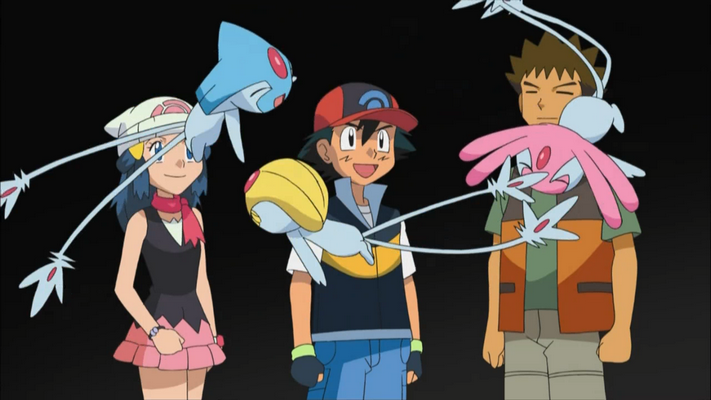 Ash encountered Azelf for the first time in the episode “Pruning a Passel of Pals!“. 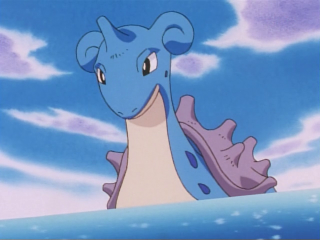 Unable to sleep, he decided to take a walk at Lake Valor and once being there, as previously happened to Dawn, he saw the spirit of Azelf which came out of the water and then dove back. It wouldn’t be until “The Needs of the Three!“ that Ash would see Azelf in its true form. 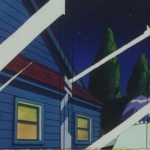 Azelf contacted Ash in a dream and warned him of the destruction of the world, because of Team Galactic. 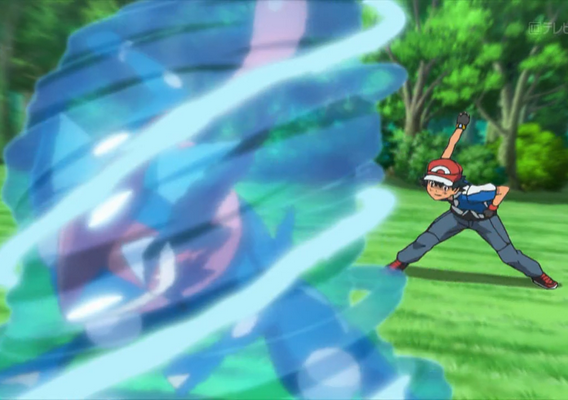 When Pokémon Hunter J awakened Azelf from its sleep throwing a bomb in Lake Valor, Ash felt a severe pain at his head because of his connection to Azelf. 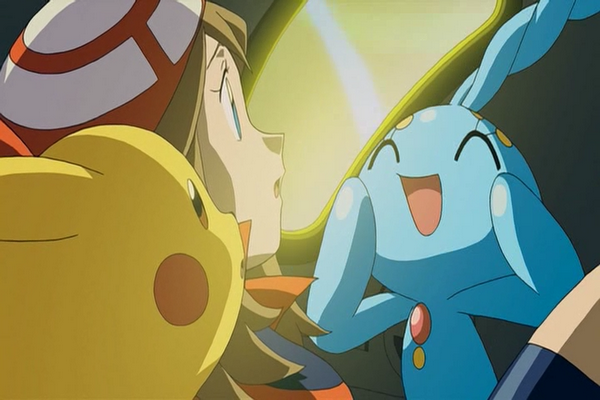 Later, when Azelf was kidnapped and taken to Team Galactic headquarters together with Mesprit and Uxie, Azelf convened Ash and teleported him there, where it was, at the Team Galactic headquarters. 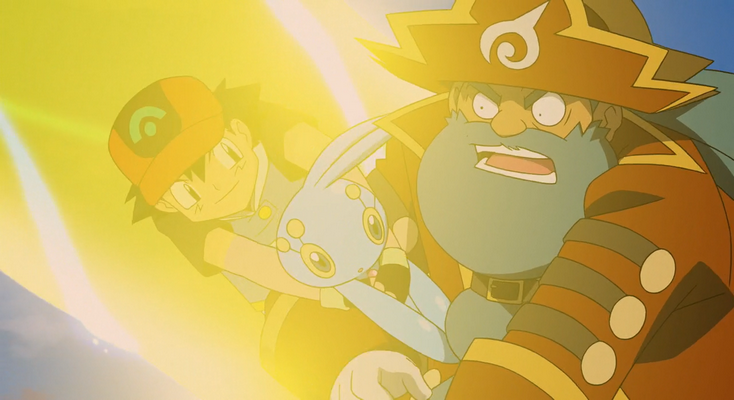 Ash rescued Azelf from Team Galactic. 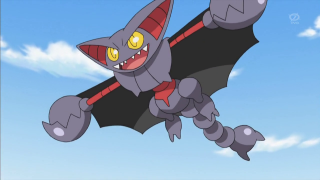 Later, Ash and Azelf, through their connection, managed to help Palkia and Dialga calm and by doing so they also saved the world from destruction. Click on the image to sign the petition !! 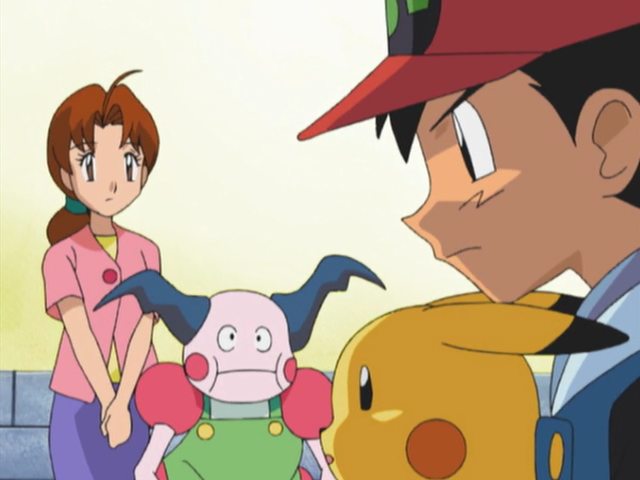 In his novels “Pocket Monsters the Animation”, Takeshi Shudo dwelt very much upon Delia, often repeating, during the narration, that reading this information would help us learn more about Ash and his future events. 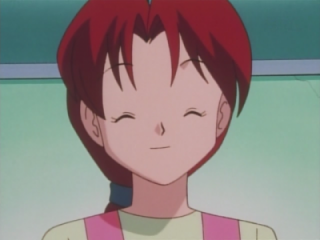 Ash has inherited the character from his mother Delia (Hanako in Japanese), who in fact we are used to see always smiling and carefree. Even as a mother, she has always been a strong and courageous woman, despite the enormous sufferings she had to endure in her life. 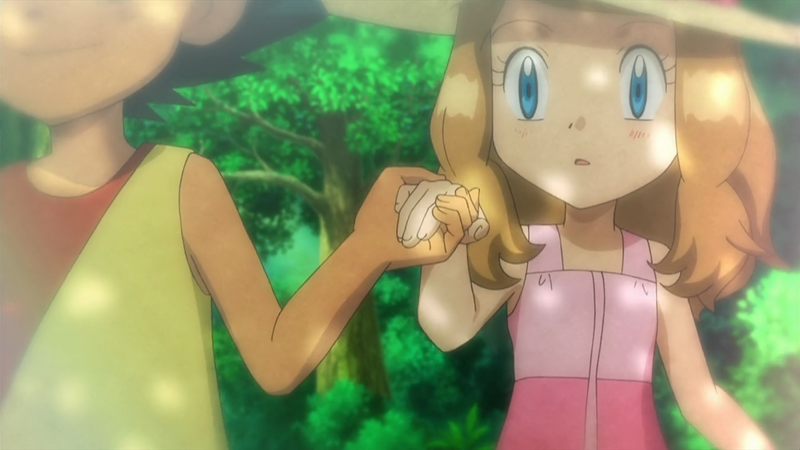 Since Ash’s father left home, she did not shed a single tear for a farewell any longer, although she generally was a person who tended to cry like a baby or have exaggerated reactions, even for a simple splinter stuck in a finger. It all started when Delia was only 18 years old and her mother was still alive. 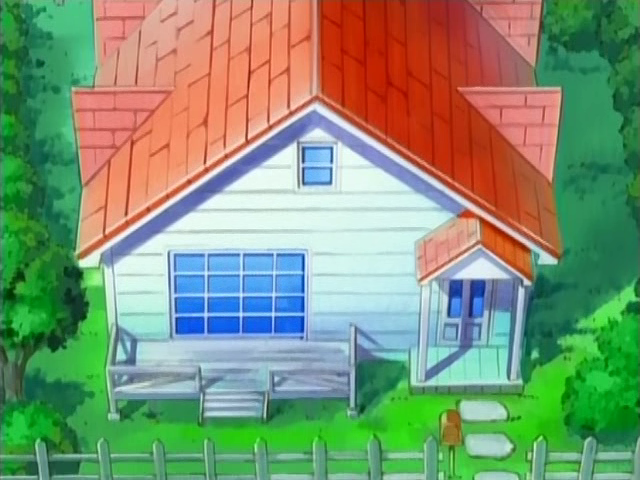 A young aspiring Pokémon trainer was staying in her inn, the “Pallet House“. Delia immediately fell in love with him and their relationship quickly became stronger, so much that they got married in a heartbeat. 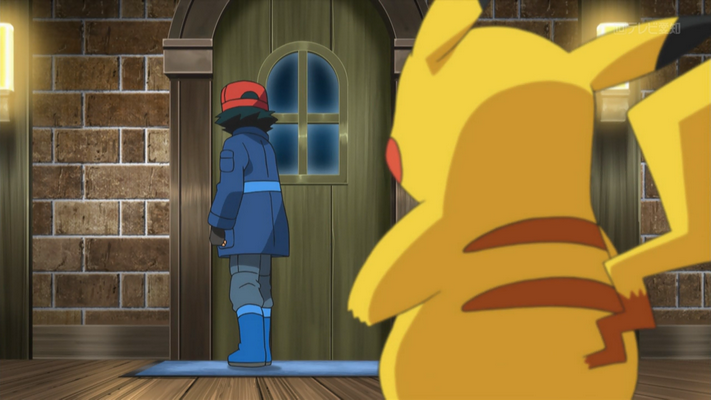 But right after Ash’s birth, the young man left the town and never came back. To make matters worse, Delia’s mother soon got ill and passed away, leaving her daughter alone with the Pallet House and the new-born Ash. At that point, Delia had no choice but to be strong. Even if her husband had come back home, after leaving her alone for over ten years, she would have completely ignored him. If someone asked her: «Do you still love him?» her answer would be a clear «No!». Despite this, Delia rejected all the proposals she received from other men, because she actually never wanted to divorce from Ash’s father. There were even a few rumors of her relationships with other men, but none of them was true. 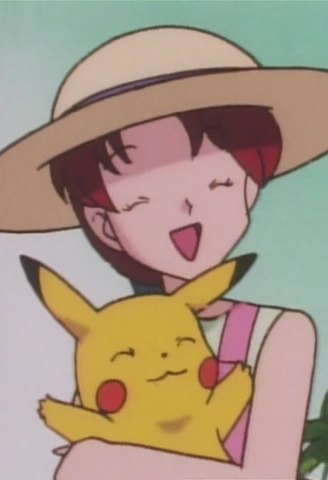 Until the day Ash left home to travel and become a Pokémon Trainer, Delia managed to go on on her own. «It’s natural…» she thought to herself. 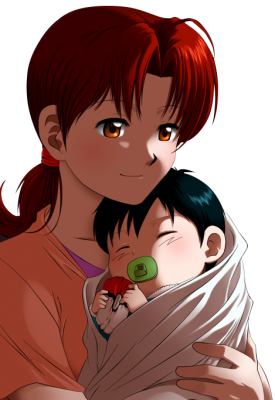 Ash is her beloved son and she would take care of him until the day of his departure. It was her responsibility. 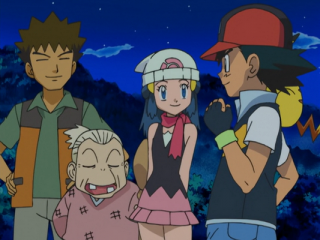 As already said, there is a very unique relationship between Delia and Ash, very similar to the one existing between a couple of friends or brothers. Sometimes Ash wondered if some of Delia’s behaviors were the same of a typical mother and wanted her to be more like a normal adult woman. He often accused her of “pulling the mom card” only when it was convenient. 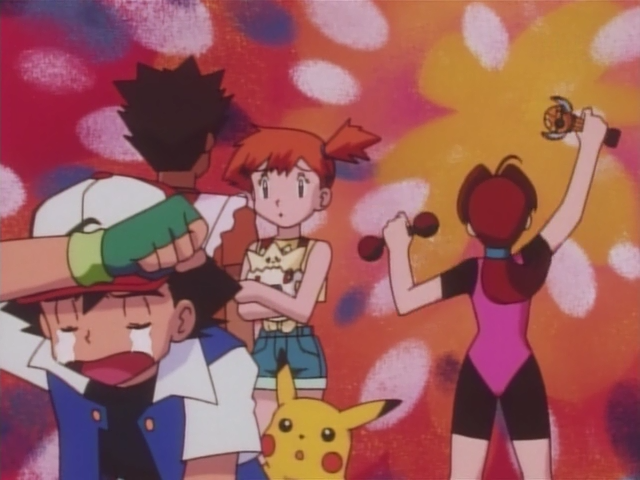 As a matter of fact, on the day of Ash’s departure Delia began to fantasize a bit. She was sad but at the same time she felt like a student who is about to start his summer holidays without any homework to do: starting from the following day she would have returned to be a free woman. Given that she still was so young, she could devote herself to many things. But until the next morning she still had to be the mother of Ash. Shudo explains that being a mother is already a very hard job. However, despite her situation, Delia has never perceived her motherhood as something tough. After all it was better than remaining completely alone, after her husband had left home. Of course it has never been so easy for her… Despite that, every once in a while Delia felt the need to say «Thanks baby» to Ash. However, as usual at her age, girls should go out and have fun rather than working as single mothers. That’s why Delia felt so unfortunate. At the beginning, she started to pretend to cry, but her tears soon became real when she started to stop and think of her life situation. 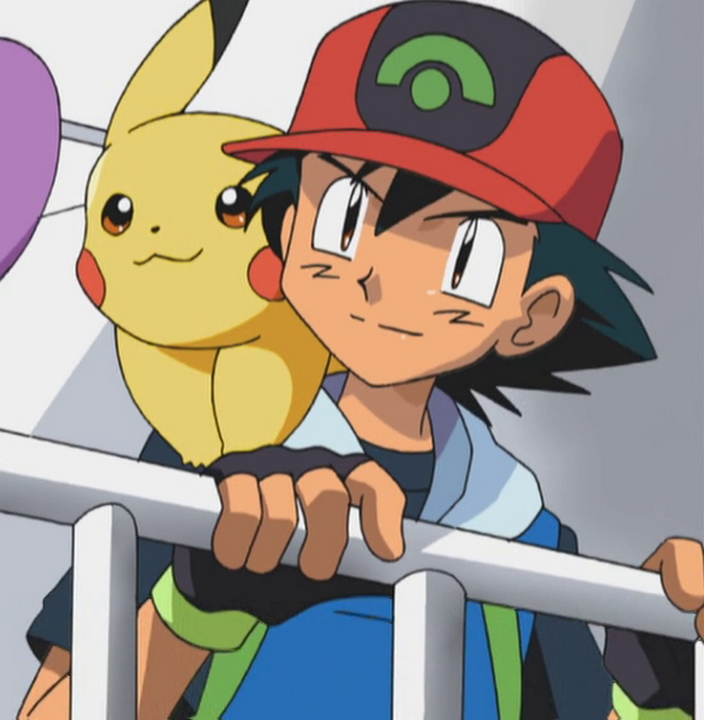 Ash was caught off guard when seeing his mother crying, so he immediately stopped making trouble. Then he approached her with a very sweet expression and asked: «Mom, what’s wrong? Are you ok? ». This gesture consoled Delia and made her feel the need to express her gratitude to his son. When the bullies picked on Ash at the kindergarten and then to school, he’d get the teachers or the bullies fathers to tell them off. Or else, if the fathers of the bullies didn’t rebuke them, he would made sure the teacher did. These bullies were children who at home didn’t breath an atmosphere of serenity. They were often children of single fathers or of husbands who were kicked out of the house after a marital dispute. If these men were looking for something to eat they had two options: a bento from the only convenience store of the village or going to the Pallet House (being the only restaurant in Pallet Town). Delia, just like Ash, has the ability to always find the right words to help someone in need, so when these family men decided to eat at the Pallet House, she scolded them: «Children need a mother and a father! Especially a father! You can’t underestimate the importance of a father! A father can’t just be working all the time! 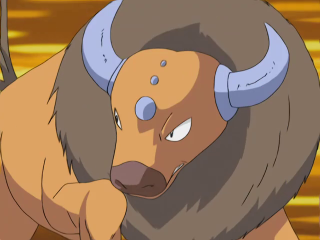 He has to spend time at home!» Delia knew well what she was saying, she had the experience of b oth her father (Ash’s grandfather) and her husband: both left the family to become Pokémon trainers and never returned. Thus, the bullies fathers would remain silent and let her talk. In exchange, if you can call it like that, Delia would listen to their problems with their wives. The mothers in the country, therefore, never complained the fact that their husbands came home late at night saying they were at the Pallet House. 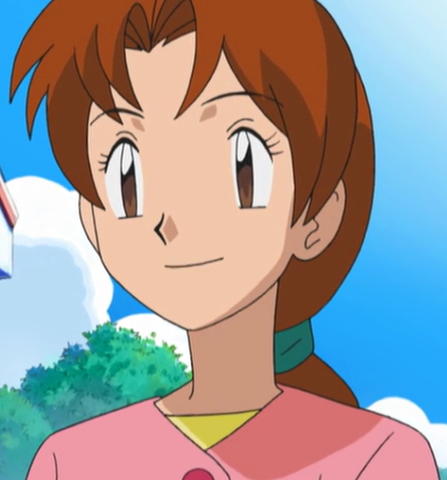 On the contrary, they would consider it a relief, because talking with Delia would inspire the fathers o f Pallet Town to do their best for the home and their children. This helped to improve the mood of mothers in the town. 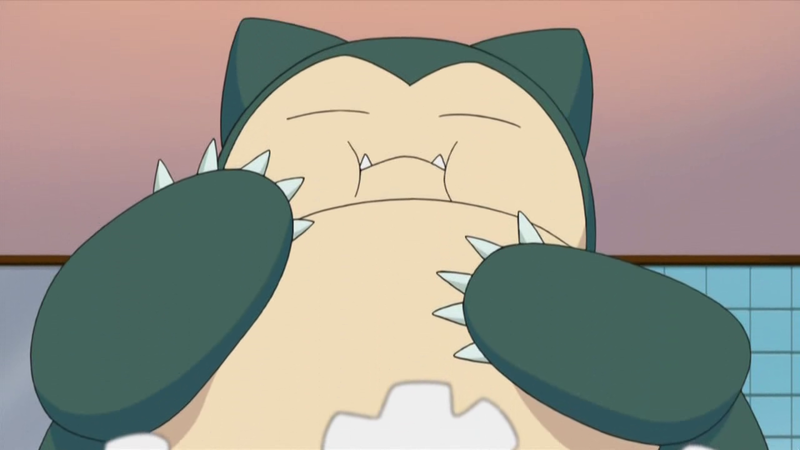 So, with both parents in a good mood, children would breath a climate of serenity and bullying against Ash ceased. 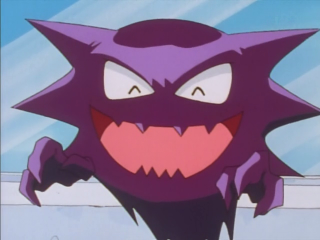 Being no longer picked on, Ash was delighted to be able to focus only on its pranks. He loved to play around and cause mischief. Delia rebuked him when he was causing too many problems, but she never forced him to focus on his studies. 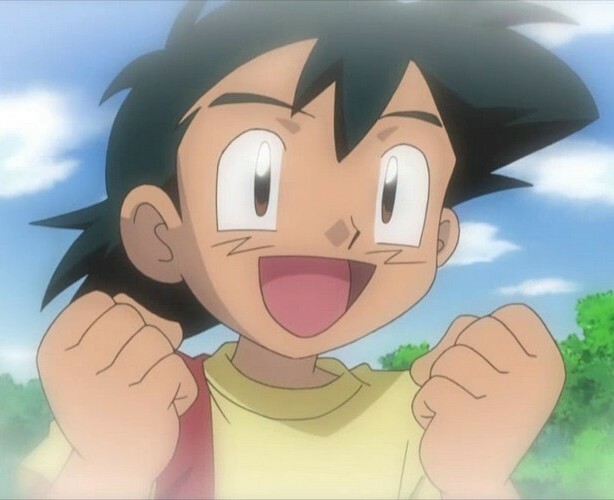 Delia has always wanted to convey optimism and serenity to Ash, therefore, also thanks to his strong character, he was never deeply shocked by the absence of his father, however as a child, he used to ask about him to his mom. He wanted to know what kind of person he was and what he was doing. He addressed to her the same questions also about his grandfather. Delia initially replied that they were two very special pokémon trainers. 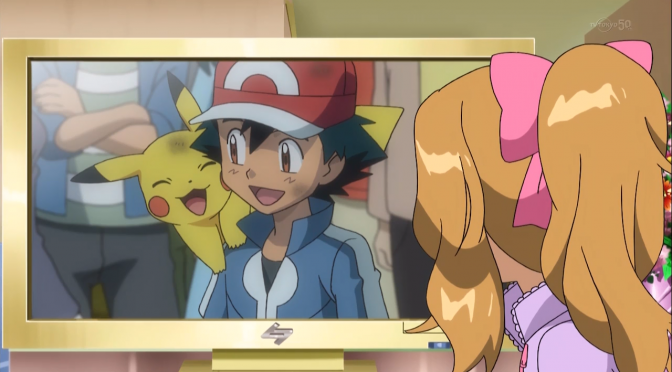 However, when Ash was five years old, she decided to reveal him the truth: though they left to become pokémon trainers, no one has heard anything about them. 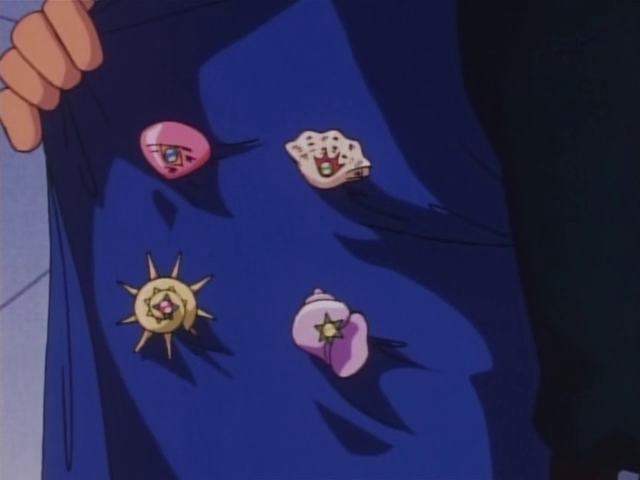 There is no evidence that they really became trainers. Whether his father and grandfather were or were not good trainers made no difference in his desire to become a Pokémon trainer. However, if Ash had found out on the internet or when he grew up, it may have come as a shock. She would say that only occasionaly but, in over ten years, this sentence ended to reach Ash’s ears many times, triggering in him the desire to become a Pokémon trainer. 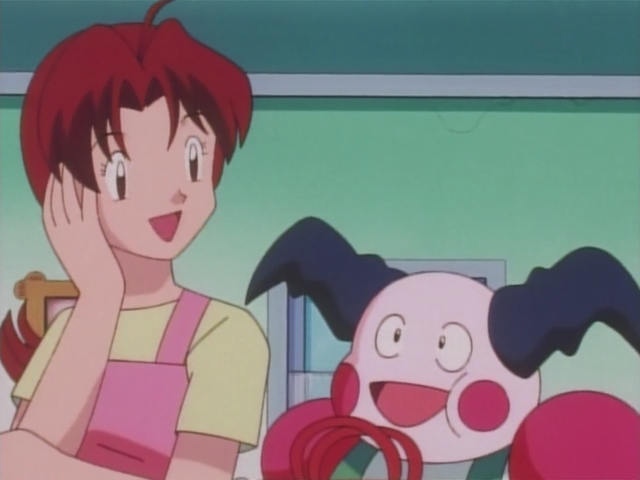 Delia herself lo ved Pokémon and also wanted to become a trainer. If she didn’t had to take over the Pallet House, being the only child of her family, Delia would have ignored any opposition of her mother and once she became ten she would have left home to become a Pokémon trainer, just like Ash. 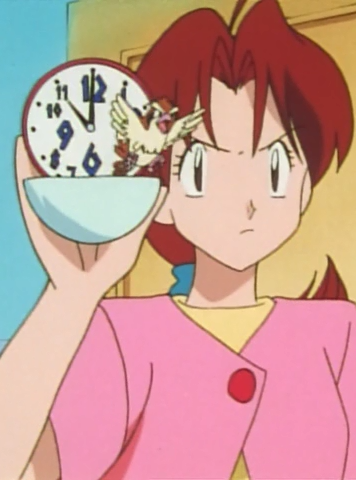 The alarm clock shaped like a Voltorb was donated to Ash by Delia for his tenth birthday. 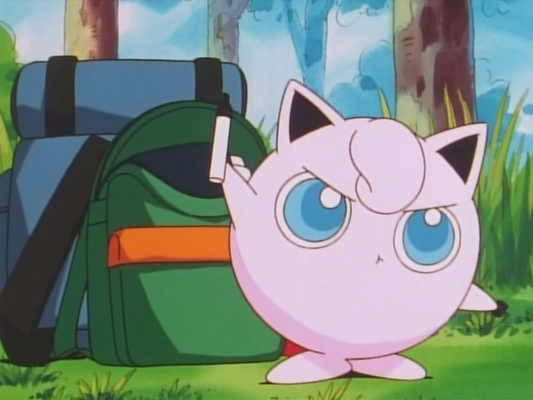 Pokémon themed goods are always a best seller, so you can’t get them in a small village like Pallet Town. Consequently to get that clock, Delia had to leave her busy schedule for three days and go to a department store in the metropolis of Cerulean City, where she waited five hours in line to buy it. 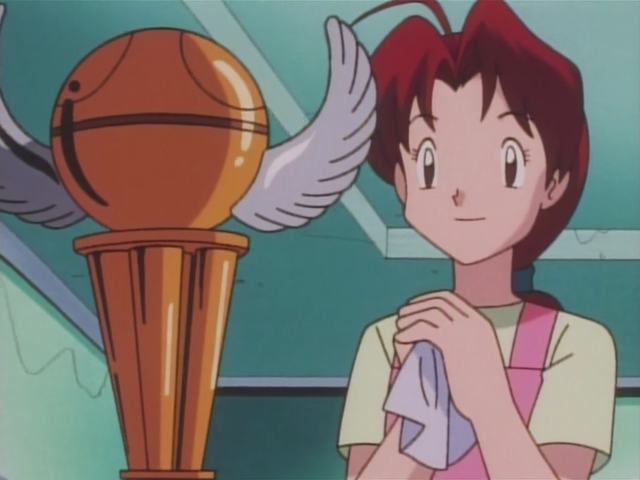 For Delia, that Voltorb clock held more significance than just a birthday present for his son: it was an expression of motherly love for Ash to take on his journey. His birthday was only a suitable opportunity to give it to him. 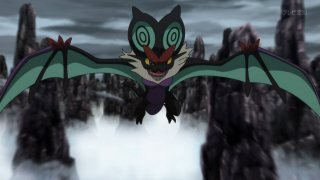 The “Ash Form” is a form that only Ash’s Greninja can take. It is a synchronization between Ash and Greninja called “Bond Phenomenom” and appears to have ancient origins. The Bond Phenomenon occurs very rarely, when the mutual trust between Pokémon and his trainer reaches very high levels, and the two manage to dominate it. The Pokémon can use the “Bond Phenomenom” possess a special ability, thanks to which they manage to understand which trainer is able to bring out this hidden power. 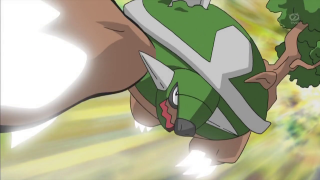 That’s why Greninja chose only and exclusively Ash as it’s trainer, rejecting anyone else. 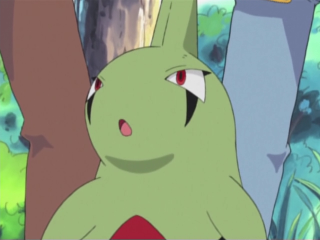 The phenomenon occurs when the brain impulses of Ash and Greninja synchronize up to join. At that point the two are related to each other as if they were in one body. 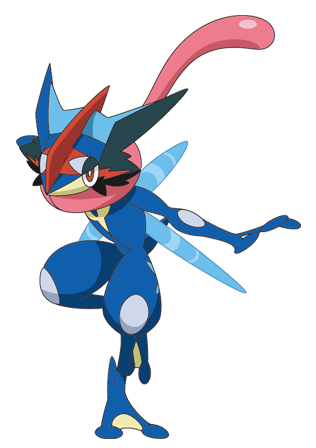 During the syncronization, Greninja transforms and it becomes similar in appearance to Ash. 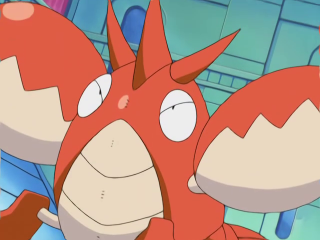 Their movements are identical and, as revealed by one of Clemont’s gadgets, they share the same heartbeat. 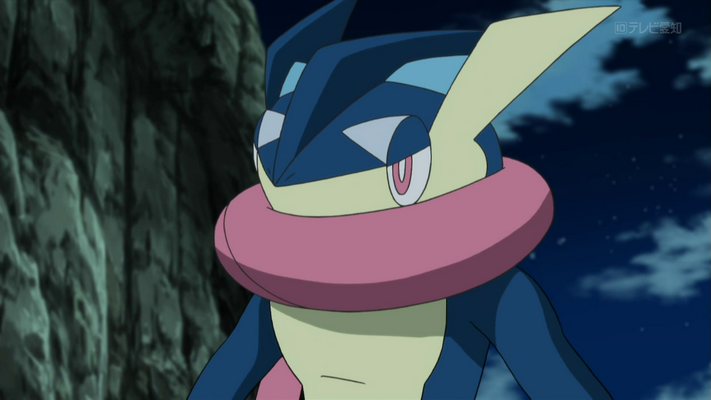 Ash can also see through Greninja’s eyes, in fact he describes what he feels during the syncronization as if he “becomes” Greninja. However, this phenomenon has side effects for Ash, which in fact states that he feels very tired after every syncronization, and every time that Greninja is hit, Ash can feel the pain in the same spots in which his pokémon is hurt. 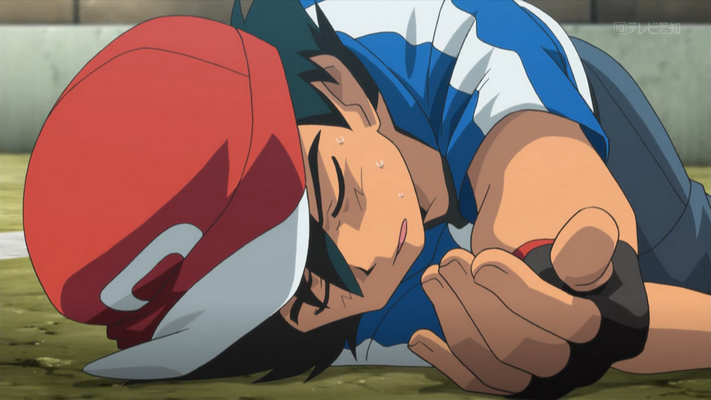 The energy released by the syncronization can also be too violent for Ash, to the point that his body becomes paralized and he faints because of the pain and fatigue. 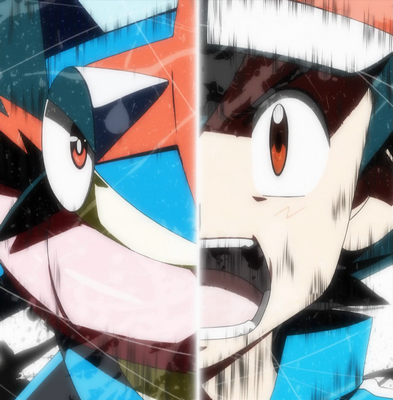 To be able to withstand the power of synchronization, Ash conviced himself that he has to become as similar as possible to Greninja. Due to this he undergoes himself to its same workouts, although with difficulty since, obviously, an human cannot compete phisically with a Pokémon. 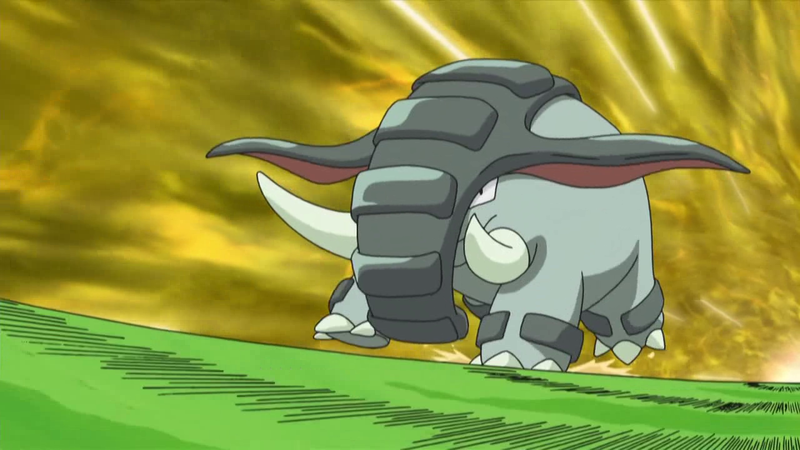 After the first training, Ash accepted a battle against Champion Diantha. In this occasion, new traits of the synchronization came out. This time Ash resitsted longer, reaching a “new level”. The brain waves analysis performed by Lem recorded some changes: their intensity became higher and higher. At the same time Ash seemed increasingly “involved” in the fight and started to repeat phrases like “much, much stronger!!! 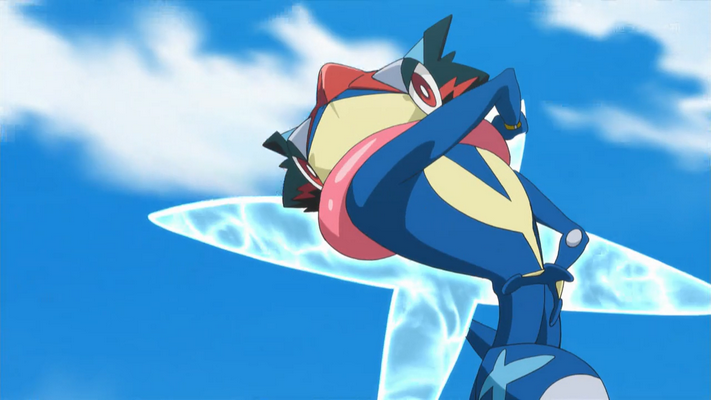 ” or “much, much faster!” very frequently until Greninja jumped out from the water veil that had always surrounded him. Since then, the veil became a big water-shuriken. 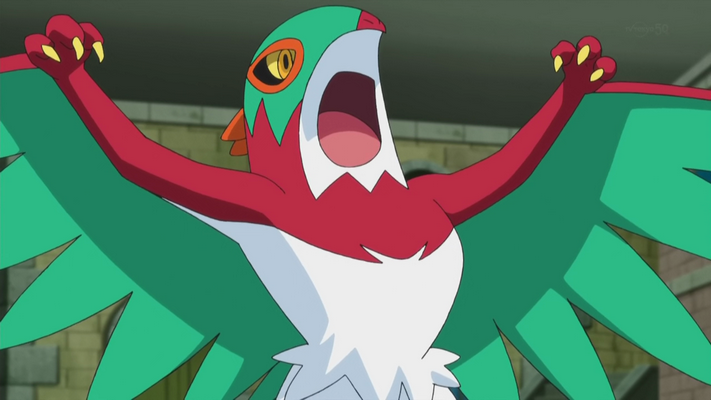 The power reached by Ash and Greninja was so high that floored Diantha’s Gardevoir. 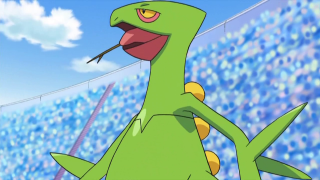 At that point, though, Ash seemed almost “crazy” and while Lem’s indicator was still recording abnormal brain waves, he ordered Greninja to go on with what turned out to be a ruthless knockout blow for Gardevoir. If Ash hadn’t suddenly collapsed again, he would have defeated champion Diantha’s Pokémon in all probability. 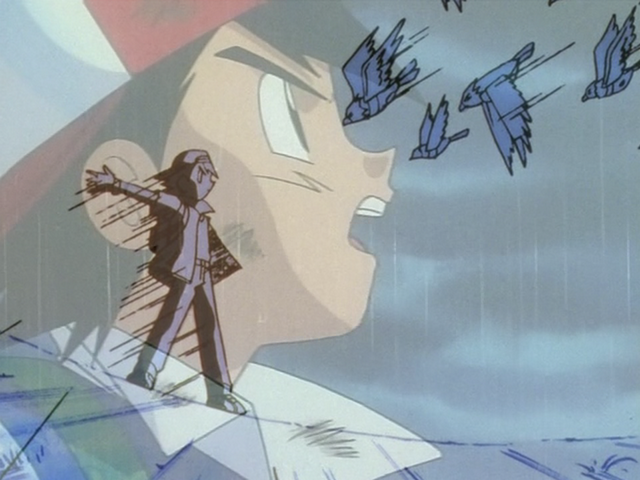 During the battle against Sawyer (episode XYZ 26) for the first time the synchronization failed. Ash was flooredb by that and initially no one was able to understand why that happened. The only thing that Clemont was able to state is that, during the battle, Ash’s and Greninja’s pulses were completely desynchronized. 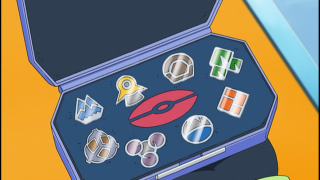 Following the events of the episode XYZ 28 it is knew that the synchronization is probably not happen because Ash was unconsciously worried due to Sawyer, who has won his last medal before him and has become unexpectedly strong in a short time. 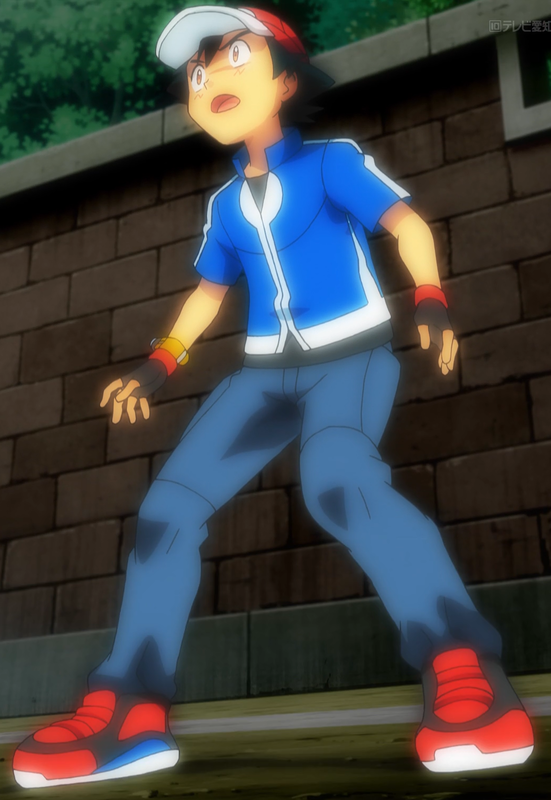 earing another defeat because of a collapse, Ash lost his concentration and ended up suffering from many attack. 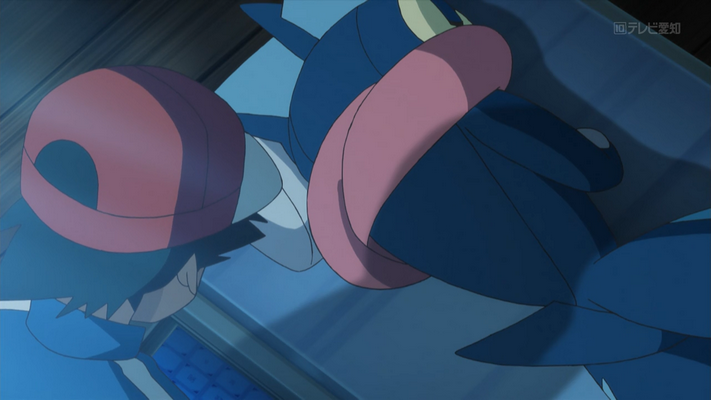 When Greninja was thrown violently against a wall, Ash was no longer able to bear the pain and collapsed again, causing the defeat of his Pokémon (since they were synchronized). 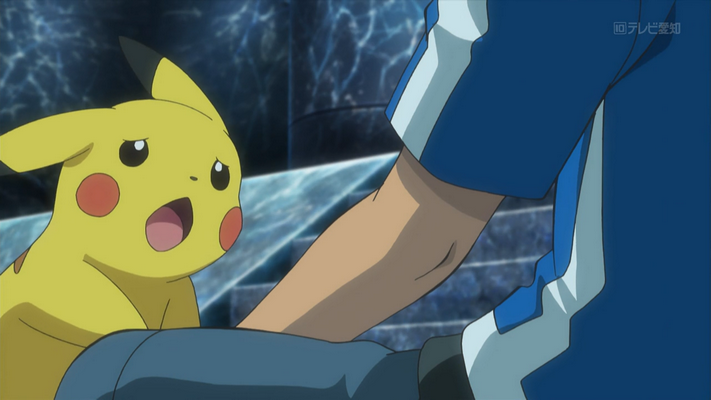 Ash feared he had disappointed Greninja, and that night he apologized to him for not being able to bear the hit. 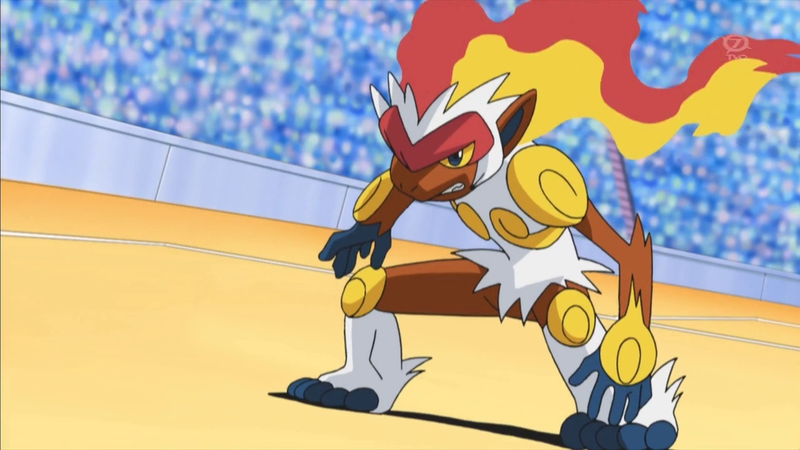 If Ash had endured more, Greninja could have unleashed its full power. Therefore, Ash must learn to resist more... But how? 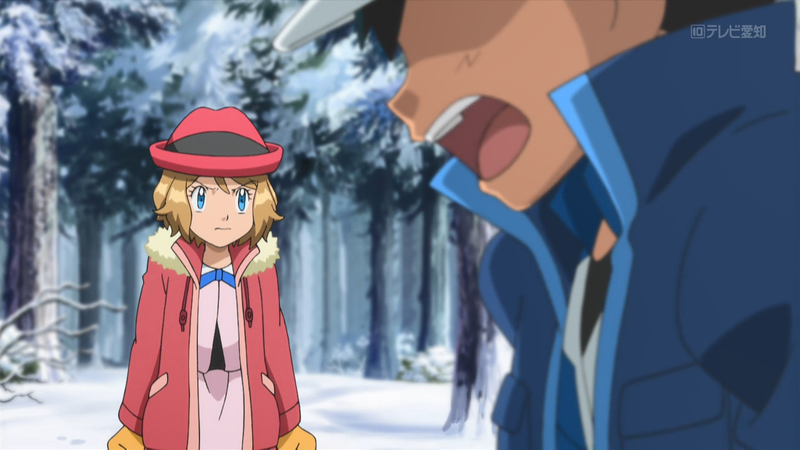 As usual when he feels sad and discouraged, Ash asks his friends to be left alone. So he walked the Winding Woods in search of an answer. 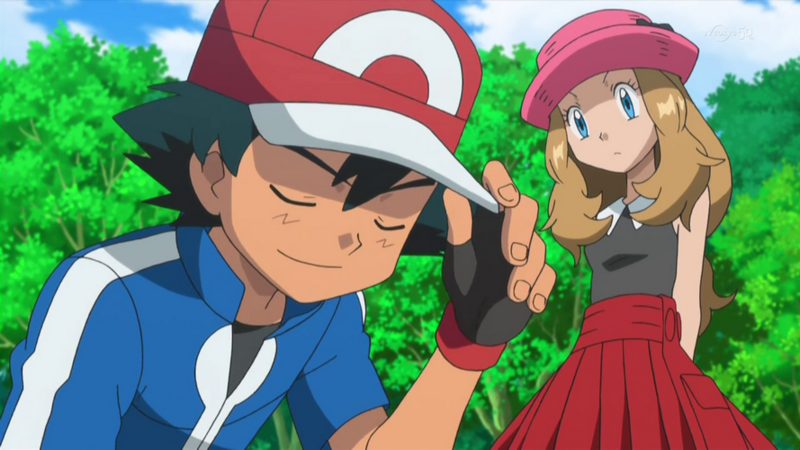 (episode XY120) After being scolded by Serena, Ash recovered his optimism, remembering that whatever the difficulties are, he must never give up. 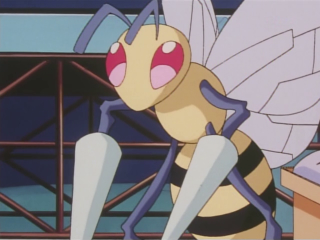 This helped him when, a few hours later, he and Greninja saved a Pokémon in danger during a snowstorm. 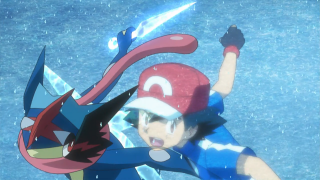 The will to save that Pokémon was so strong that allowed Ash and Greninja to achieve perfect synchronization. 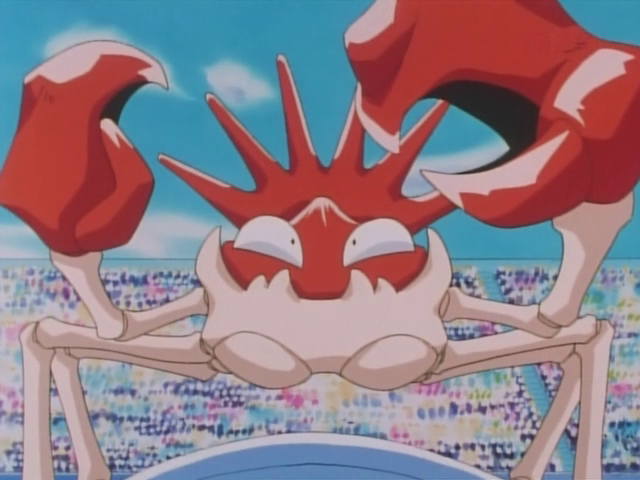 At that point, Ash apologized again to Greninja: he gave priority to gaining the badge and keeping up with Sawyer, to whom he had promised to immediately win it. 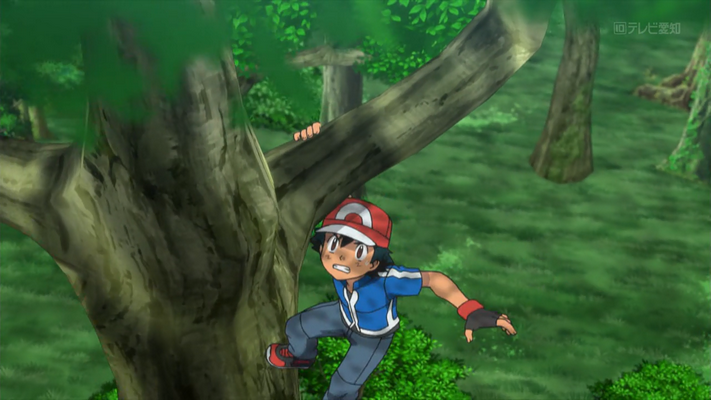 During the battle, Ash’s only thought was: “I’m a trainer so I have to do my best and hang on”, but in the forest he understood that this does not necessarily mean succeeding in it alone. He has a precious friend at his side, ready to give him his strength. 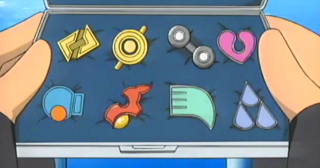 Before knowing Ash, Greninja was one of the frokies available at Professor Sycamore’s laboratory for the new trainers. 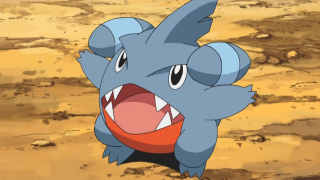 However, compared to the other Pokémon of the same species, Ash’s Froakie was very different. As explained by Gym Leader Olympia, it is a Pokémon with a peculiar destiny. In fact it never played with the other ones in its herd , and it spent all its time training so it could become stronger and stronger. 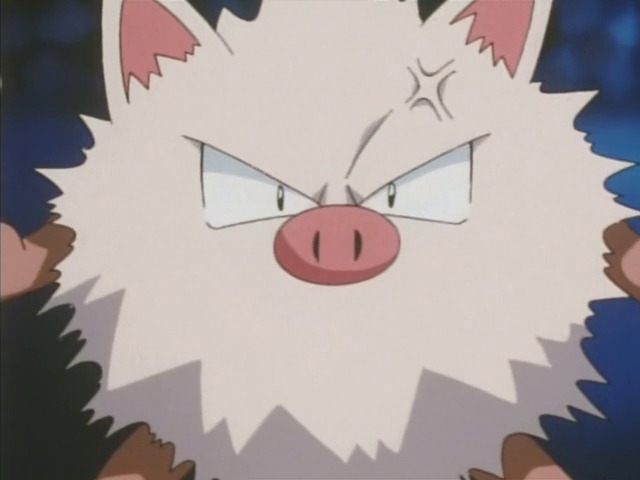 However, this was the cause of a fight with the others, and it ended up hurt and being medicated by Nurse Joy. 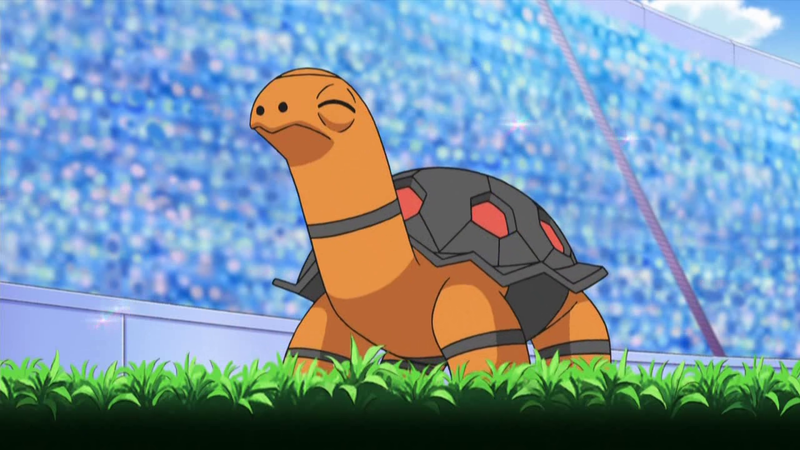 Thanks to her kindness, she managed to teach it that it couldn’t become stronger all on its own: it needed a trainer. 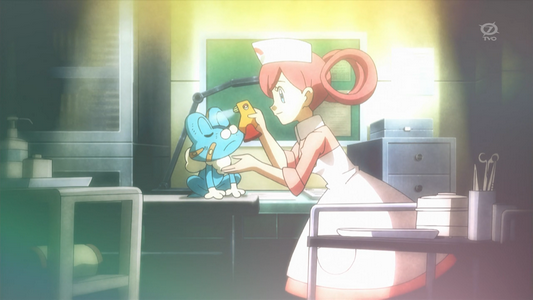 Froakie, however, didn’t just want any trainer. It was determined to understand which trainer was worth dedicating its life. 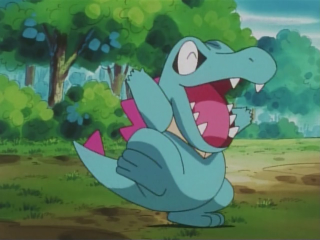 It expected great things from its trainer, but every time someone chose it, Froakie ended up disappointed and decided to go back to Professor Sycamore’s laboratory. This went on until it meet Ash. 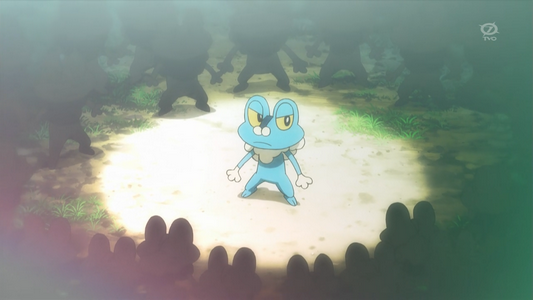 Froakie was very impressed by Ash’s determination, by his courage and by his love for the Pokémon. And so it chose him as its trainer. 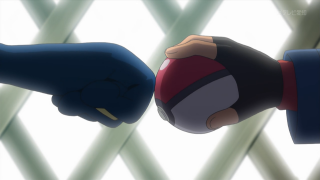 It is thanks to this special connection between Ash and Greninja that the syncronization can occur. 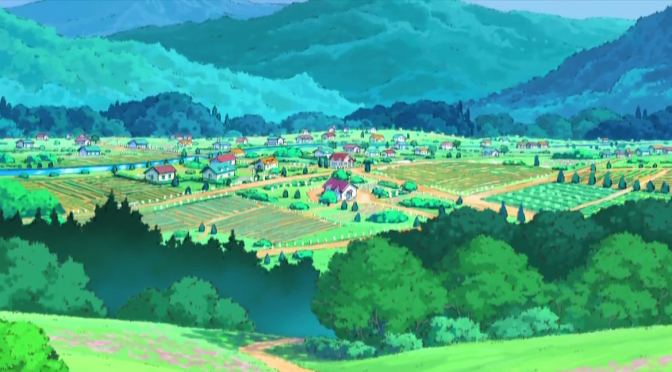 Ash Ketchum is native of Pallet Town, a little rural village located in the south-west of the Kanto region. It’s inspired by Shimoda Town, an existing city in Japan. 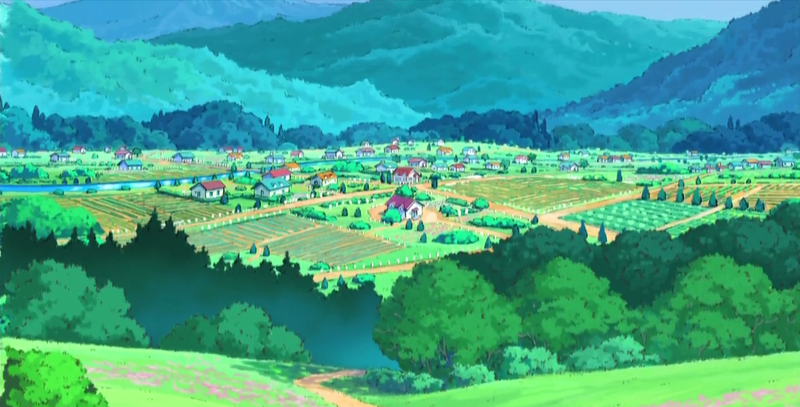 It’s called Pallet Town because of the typical white houses all over the village; however, in the Japanese version, it’s called Masara Village (though in the anime it’s named Masara Town). 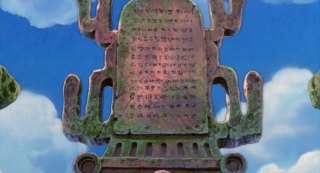 Masara Village was named after a legendary hero, called Masara Ookido. He lived in the village about a century before the anime starts. 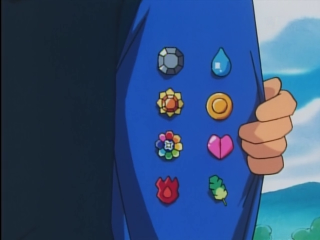 He was showered with honors for being the only trainer in town ranking at the 921st position on the list of the best 10 thousands Pokémon trainers. Because of this, a monument in the central plaza was erected in his honor, and the village’s name was changed from Masshiro Village to Masara Village. Masara Ookido was Professor Oak’s grandfather (Yukinari Ookido). 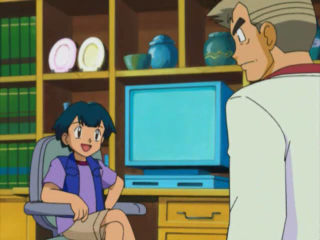 Talking about Oak’s family, the professor has two older brothers: the middle one is Pallet’s postal office’s chief, while the older brother was the mayor at the time of the first series, and in fact he was the one who hired Gary’s cheerleaders. At the time of the Advanced series the mayor was Gilbert’s father (a character appeared in Pokémon Chronicles). 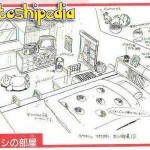 Ash lives in one of Pallet’s typical white houses, and it’s very spacious and cozy. It’s on two floors, and on the exterior it’s surrounded by a garden, which in some places was turned into a kitchen garden by Delia, given her passion for gardening. 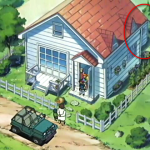 Takeshi Shudo in his novels “Pocket Monsters the Animation” hinted that Ash’s house is also the “Pallet House” inn, in which Delia works. 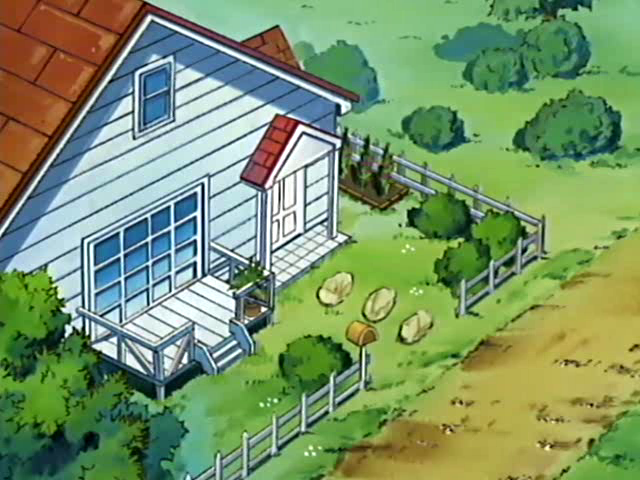 Pallet House is the only restaurant in Pallet Town, and on the second floor it’s also a guest-house. It was run by Delia’s parents , however she was forced to inherit it when her mother (Ash’s grandmother) died of illness, a little after Ash’s birth. Delia runs the inn admirably, so much so that her cooking skills were mentioned in the book “Unexplored Regions: The best food in the little villages”. The restaurant is located on the ground level, supposedly behind the house (communicating, obviously, with the kitchen), in which can be seen the little inn, visible only with a careful observation of some shots. 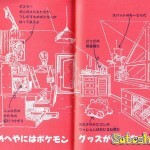 Regarding the remaining interiors, we know every single corner of the first floor, while on the second floor were shown just two rooms: Ash’s and Delia’s bedrooms. On the other side are located the guest-house’s rooms. 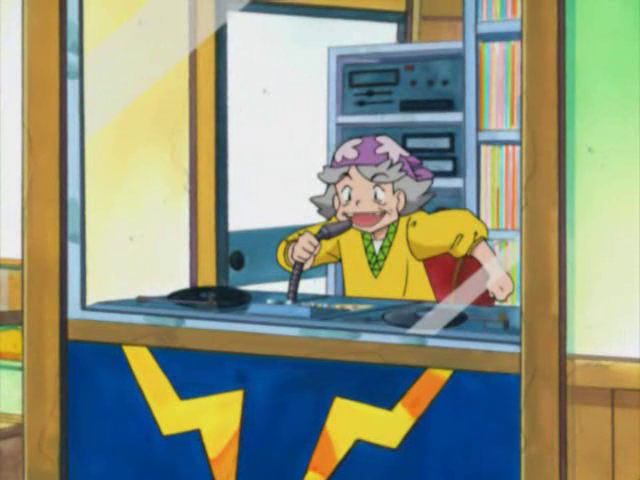 Fun fact: In Pallet Town also lives Mrs Masae, a “nice” lady who loves to gossip through her personal radio show! A cookie is a small file of letters and numbers stored on to your browser when you access certain websites, including AOL. Cookies allow a website to recognise a user’s preferences as previously chosen by the user when they return to a site. A cookie itself does not contain or collect information. However, when it is read by a server in conjunction with a web browser it can help a website deliver a more user-friendly service for example, remembering previous purchases or account details. There are two types of cookies: session and persistent. Session cookies exist only during a user’s online session and they disappear from the user’s browser when the user closes his/her browser. Persistent cookies stay on your browser after the browser has been closed. The cookies used on the AOL Services do not identify you personally. They merely recognise your browser, unless you choose to identify yourself voluntarily. You may choose to identify yourself for any one of the following reasons: by asking the browser to remember your username and password (for example, when you register for an AOL user name), by responding to a promotional offer or by personalising a webpage. Web beacons are small pieces of code placed on Web pages that can be used, among other things, to count the users who visit that Web page, or to deliver a cookie to the browser of a user viewing that page. Many websites, including AOL, may also use Flash cookies that operate similarly to browser cookies. AOL uses browser cookies to help recognize you as an AOL Services user. and to customize the content and advertisements provided to you through the AOL Services. You can control browser cookies through your browser’s settings. You can control Flash cookies via the Macromedia Flash application on your device, or by going to the Adobe Flash Player website, which allows you to view, modify, and delete Flash cookies. Please note that if you reject all browser or Flash cookies you will not be able to take advantage of many AOL Services. To review a list of the cookies used on AOL services, please visit the AOL Cookie List. Please note, even if you opt out, you will still receive advertising, but AOL Advertising will no longer show you advertising based on your interests.